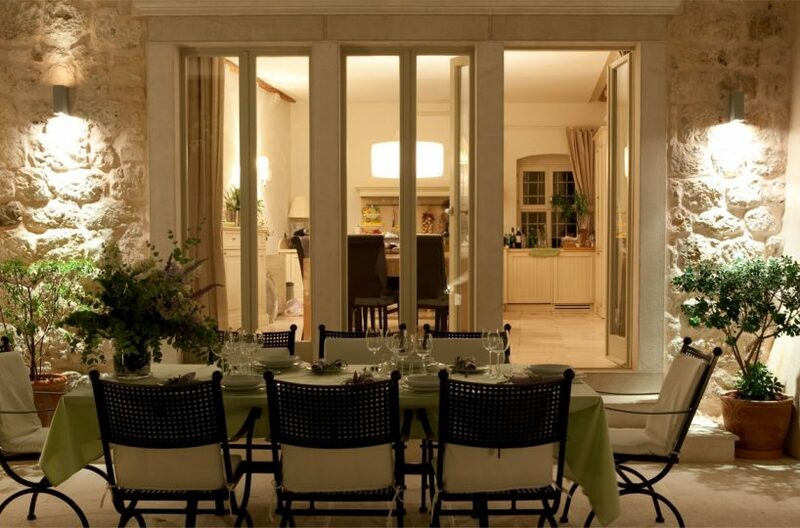 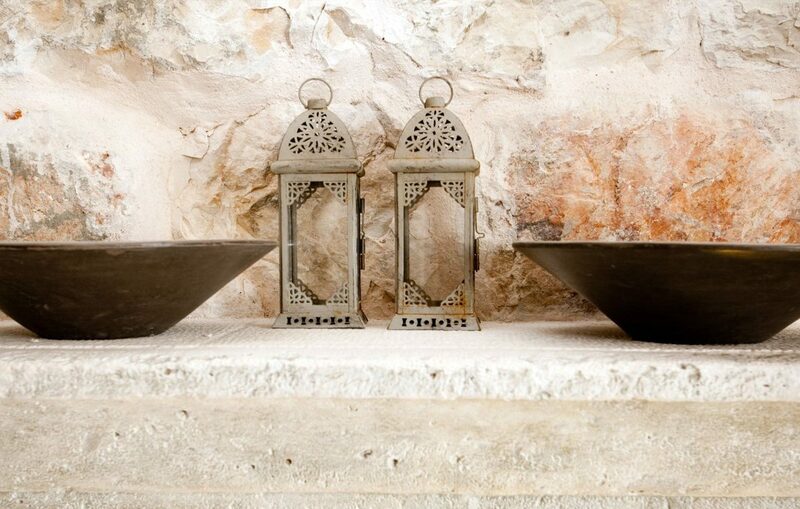 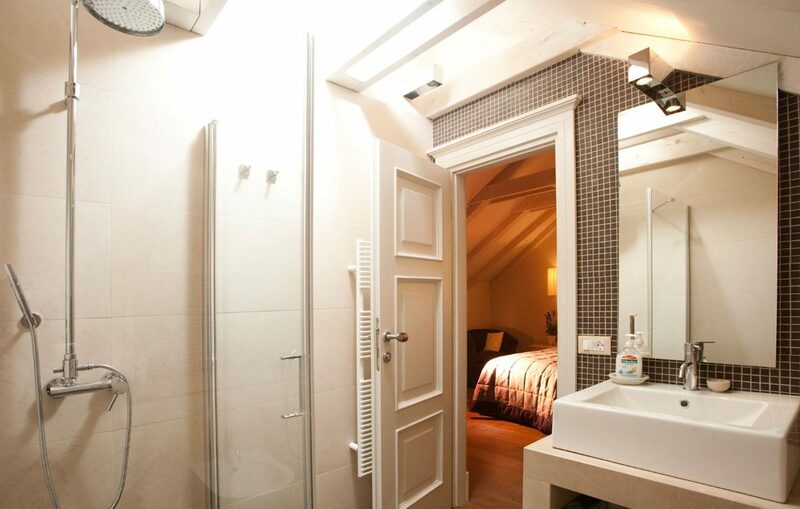 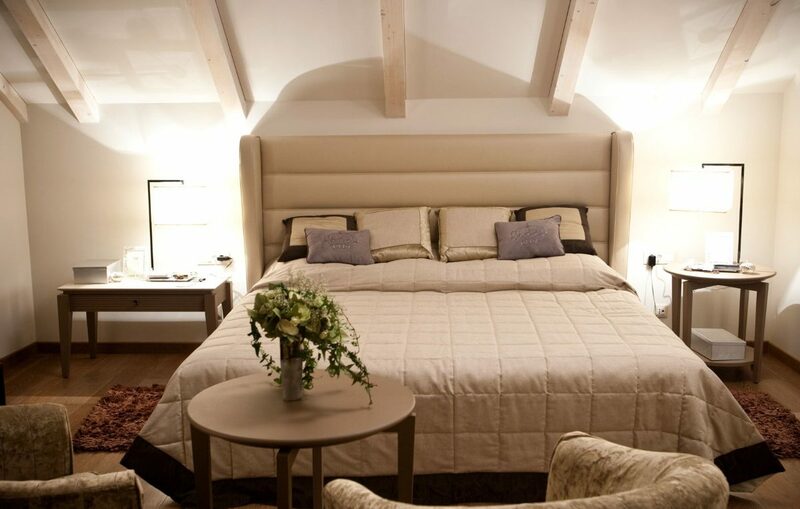 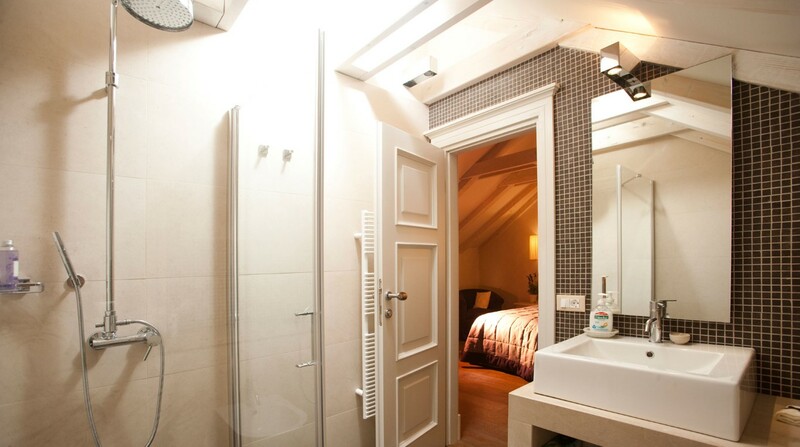 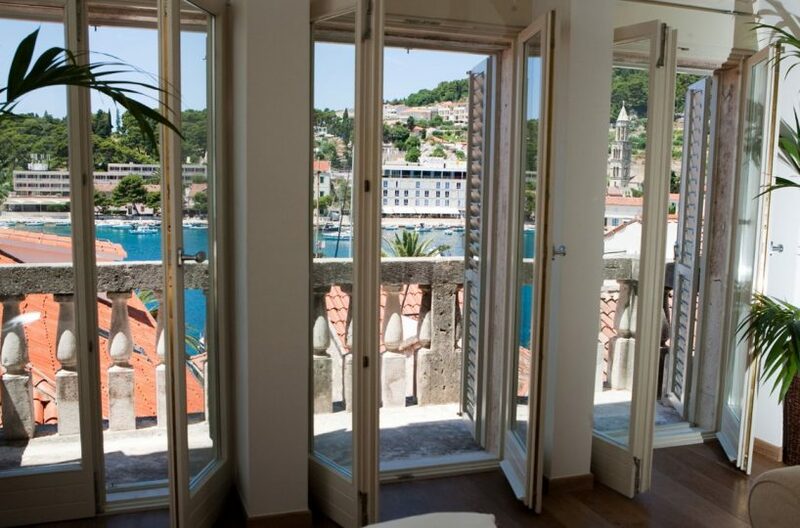 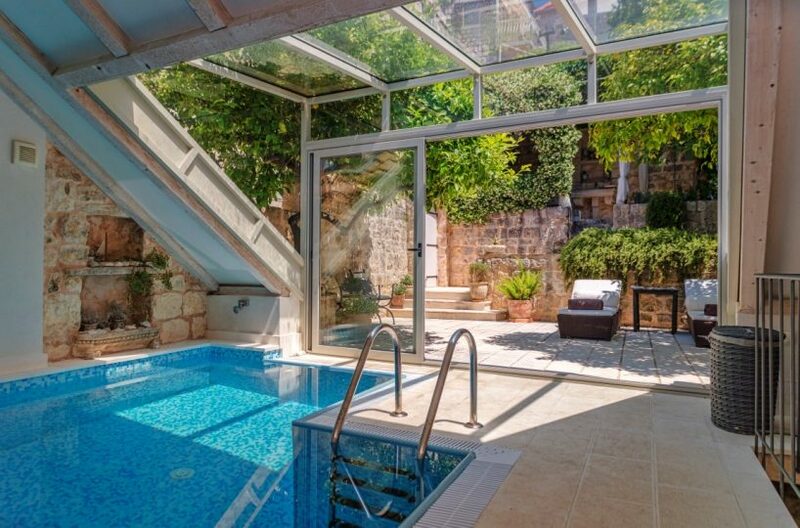 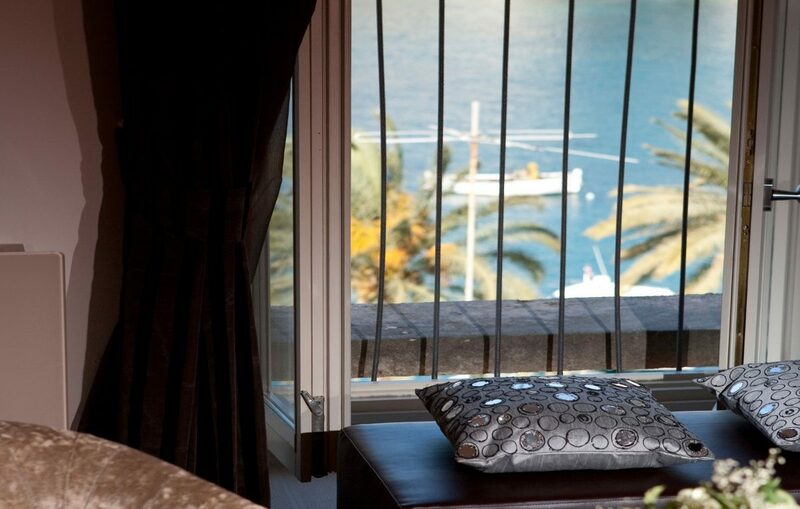 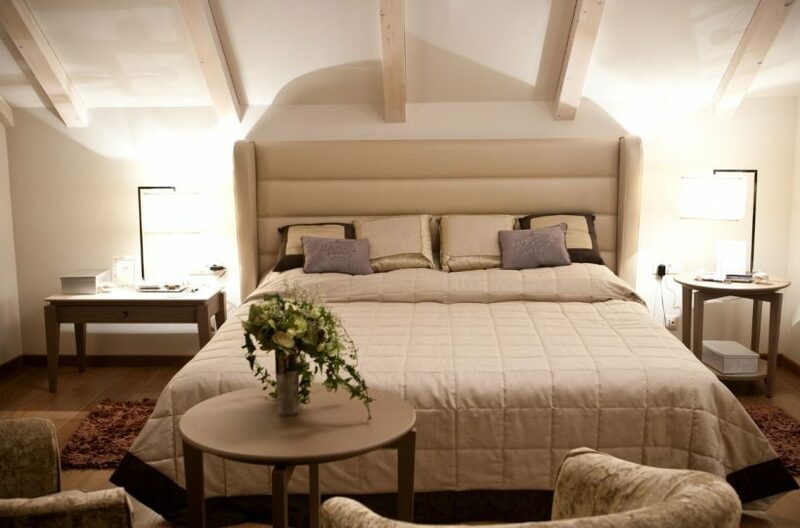 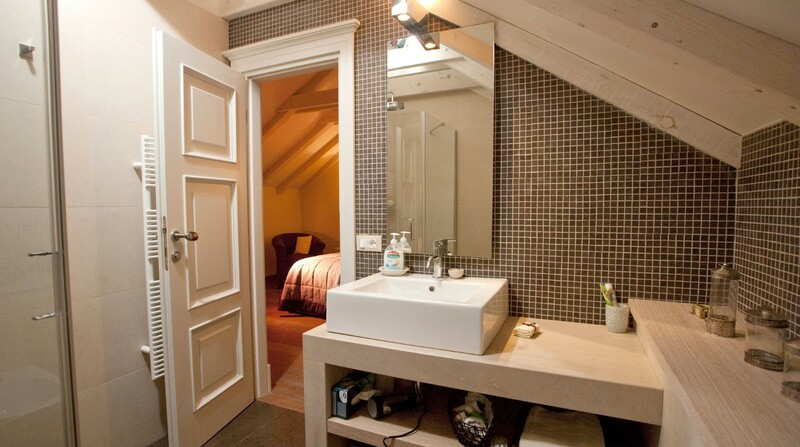 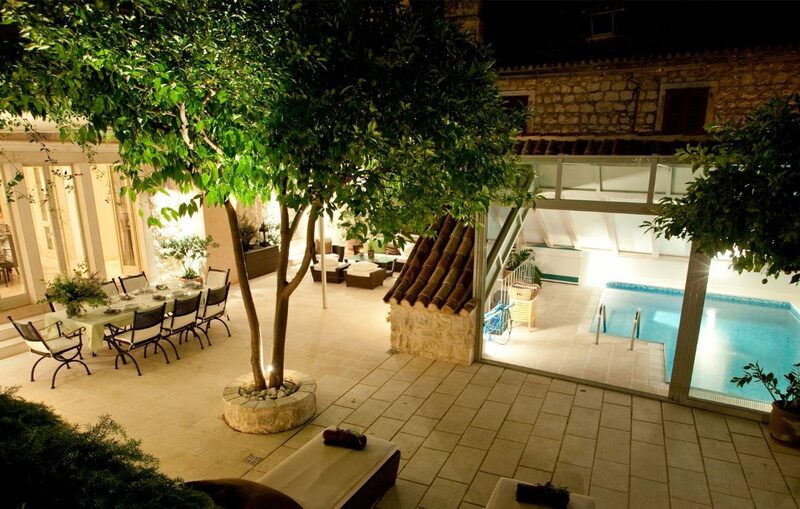 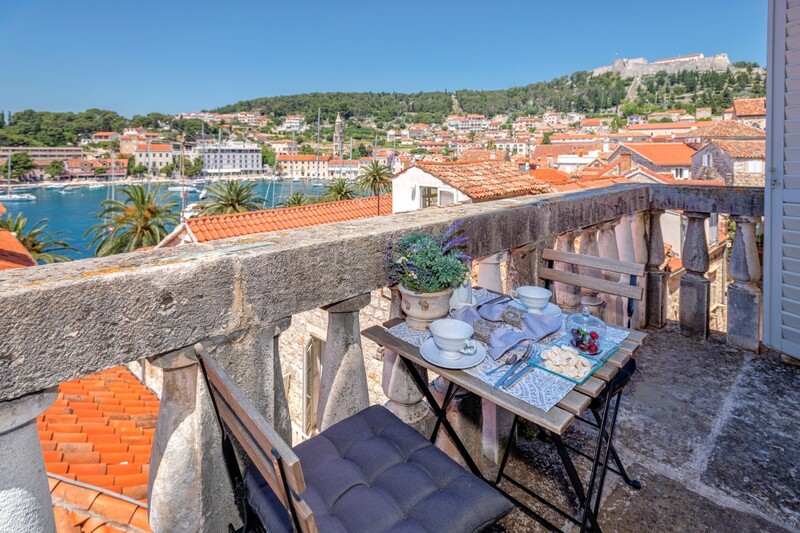 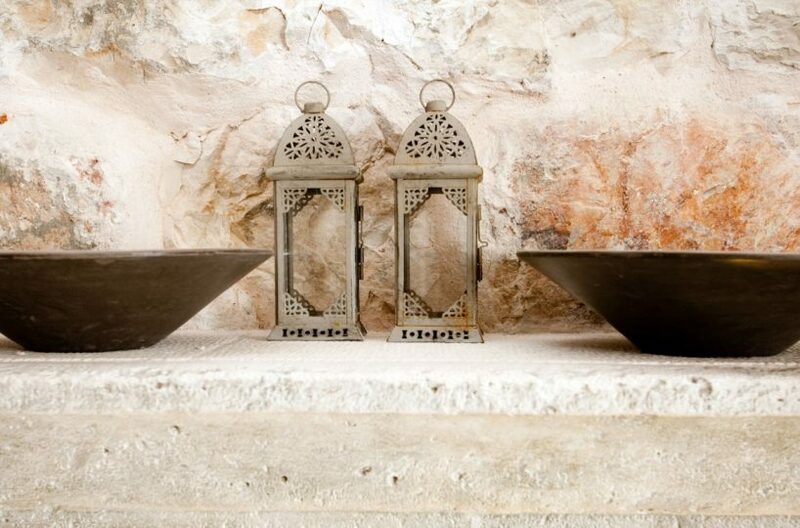 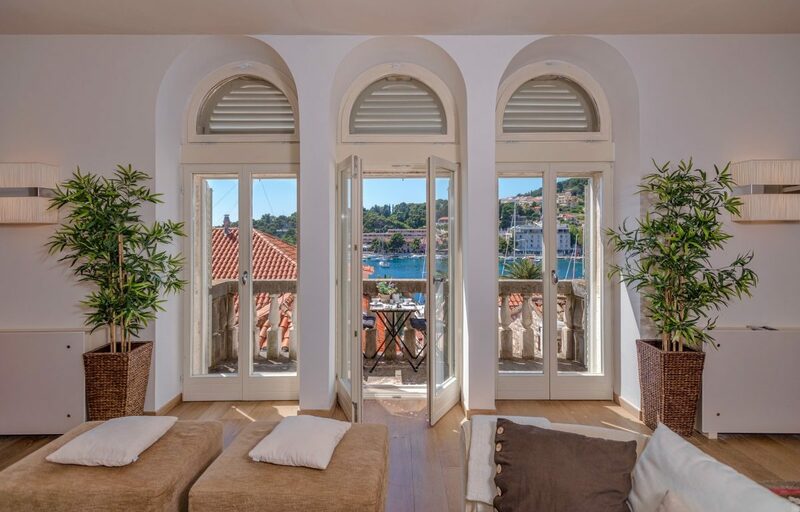 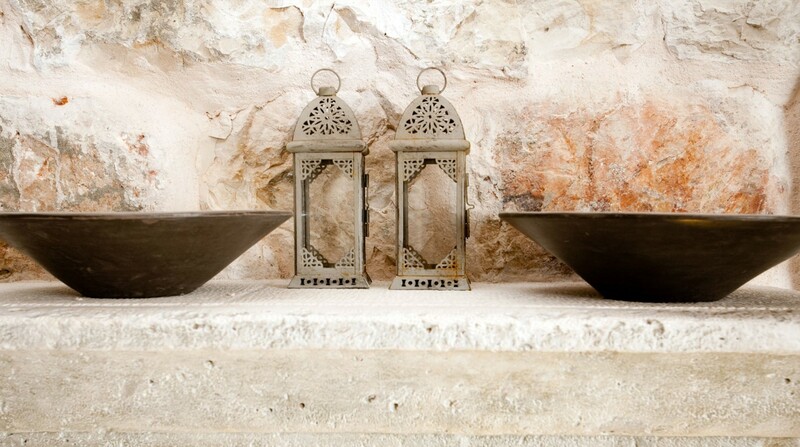 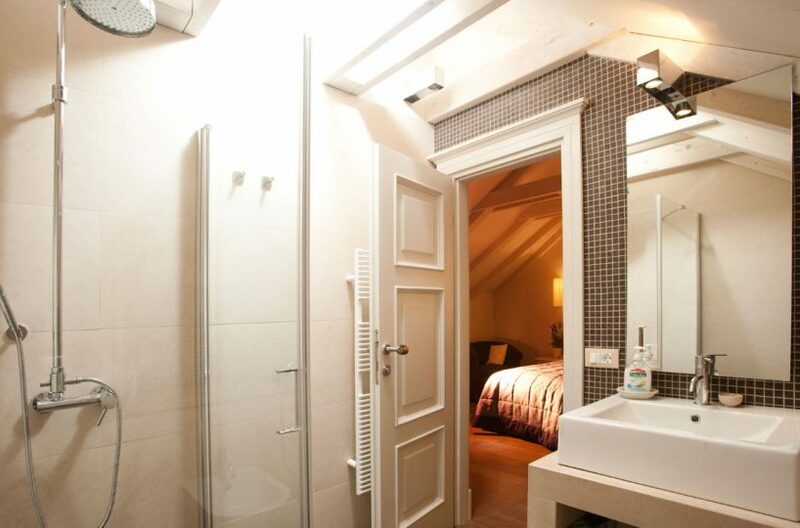 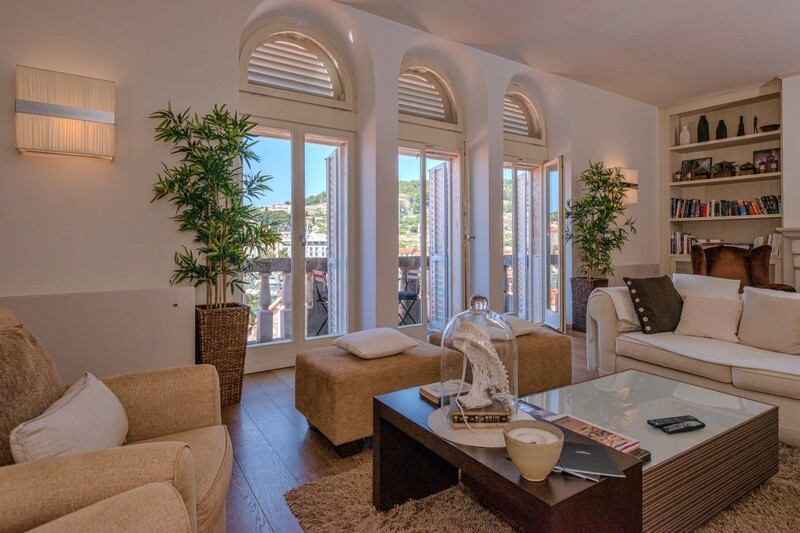 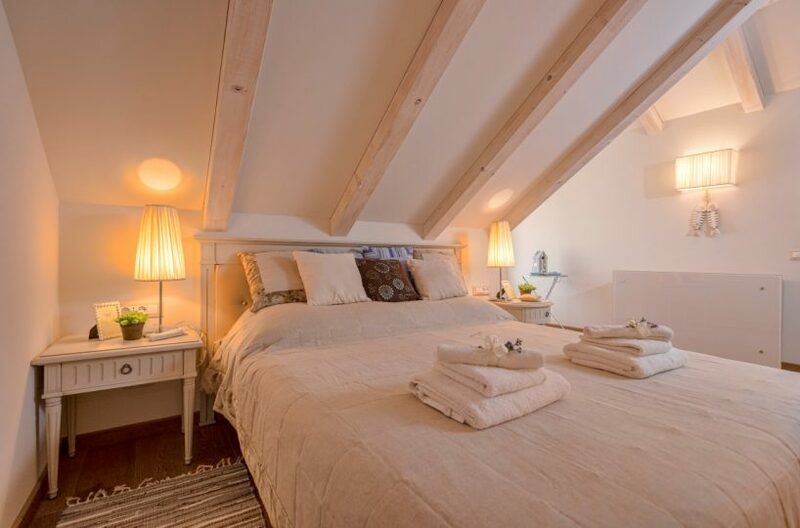 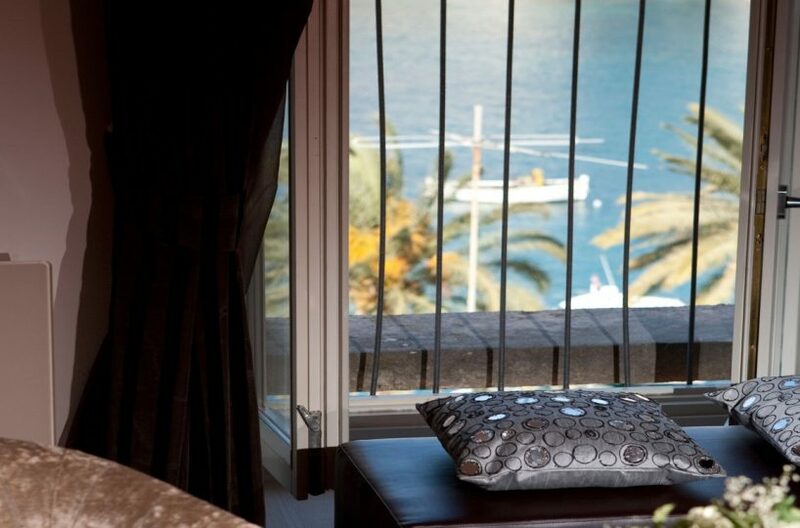 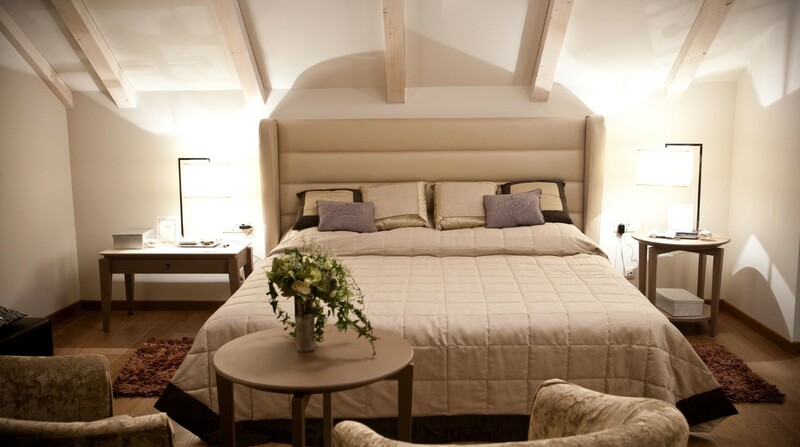 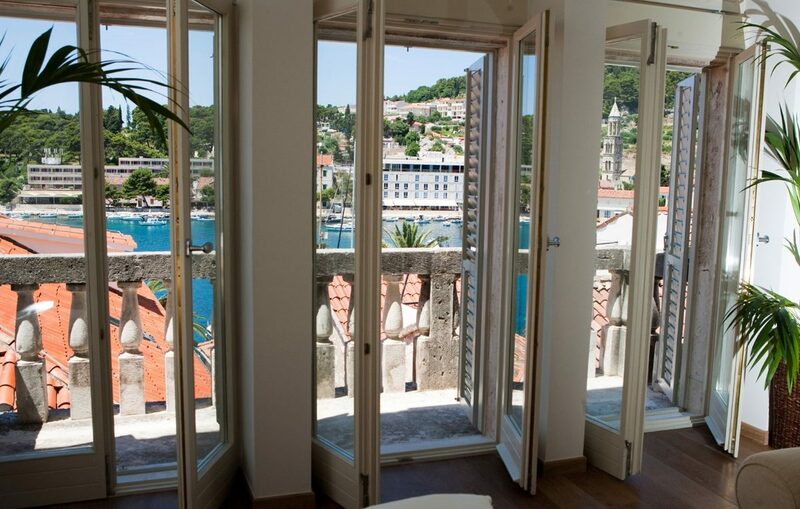 Heritage luxury pool villa in the center of Hvar is located in the historical heart of the town of Hvar. 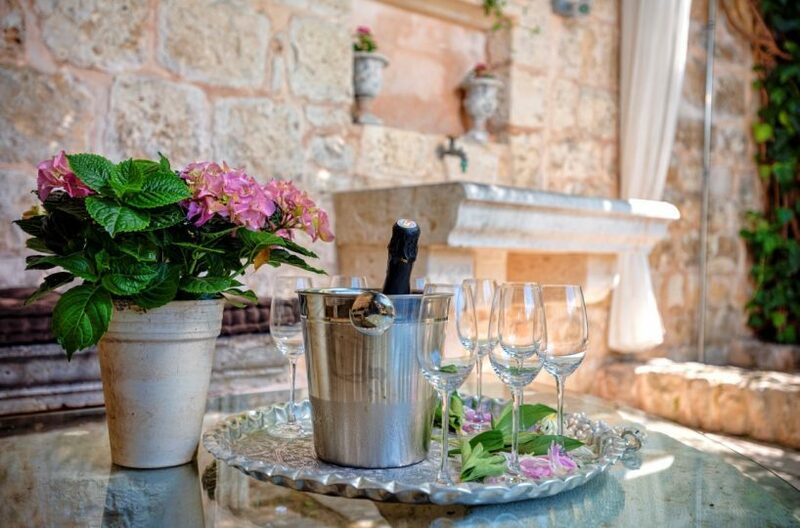 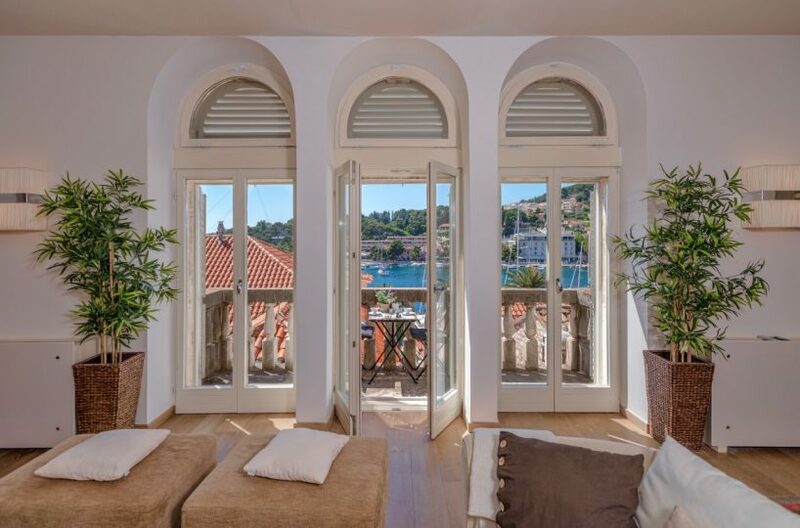 Villa Harmony Hvar was originally built in 1612 and carefully fully renovated between 2007 and 2009, strictly respecting the rules of the Institute for the Protection of Cultural Monuments, so today it stands as a heritage monument. 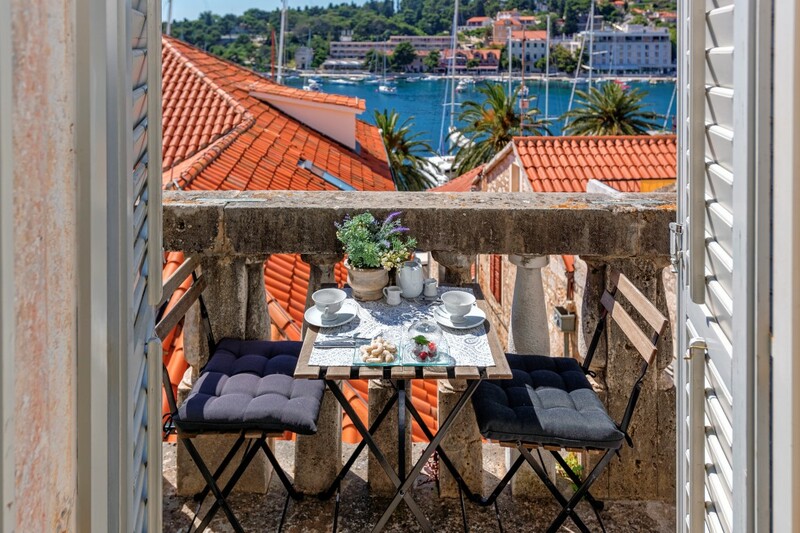 Villa Harmony Hvar offers breathtaking views of the Riva promenade and the harbor from its magnificent stone baroque balcony. 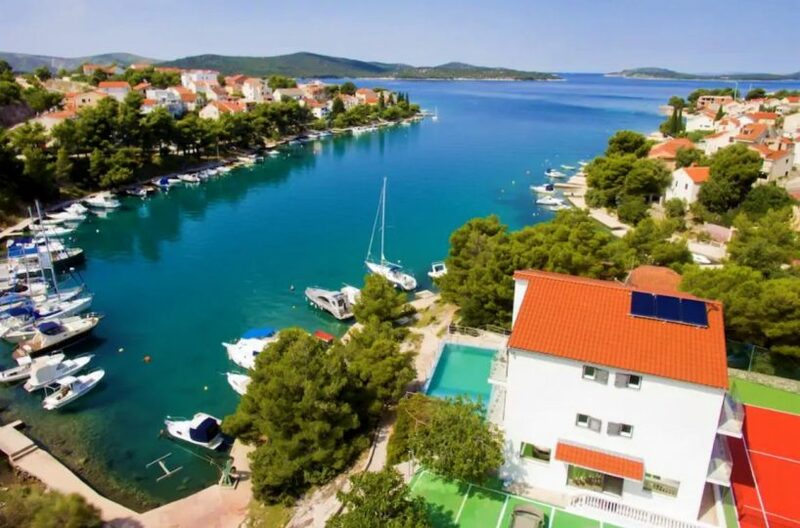 Luxury yachts and sailboats embellish the water front just meters away from the villa and the 16th Century fortress – Fortica protectively watches over the popular port and the surrounding Pakleni Islands. 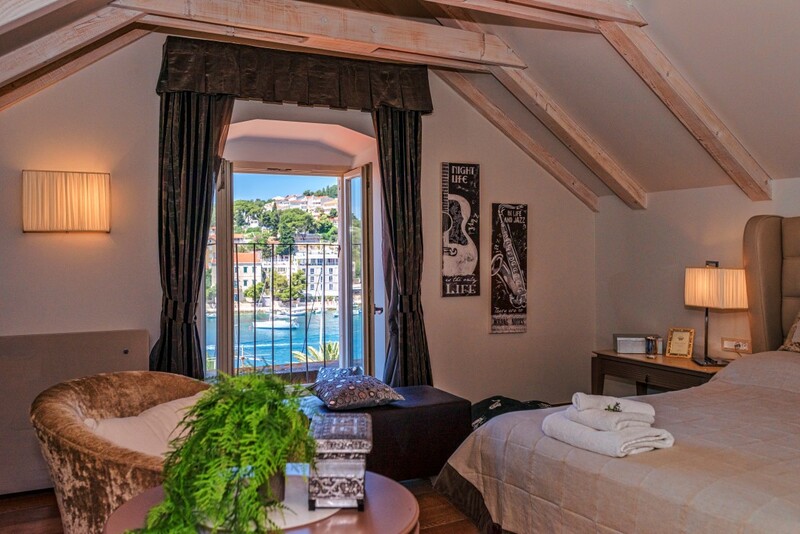 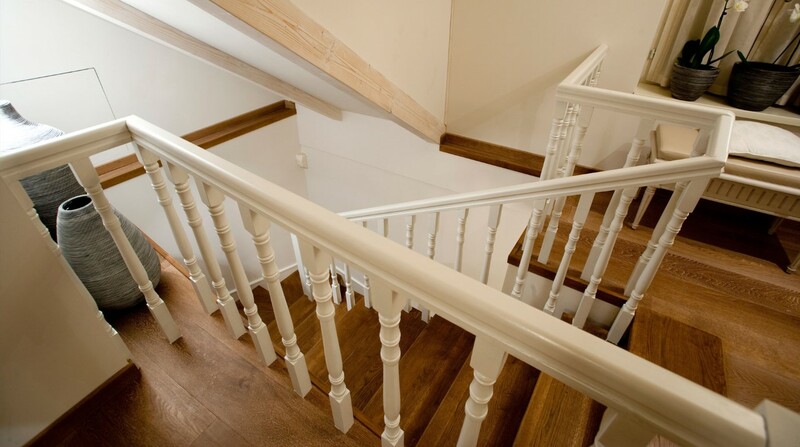 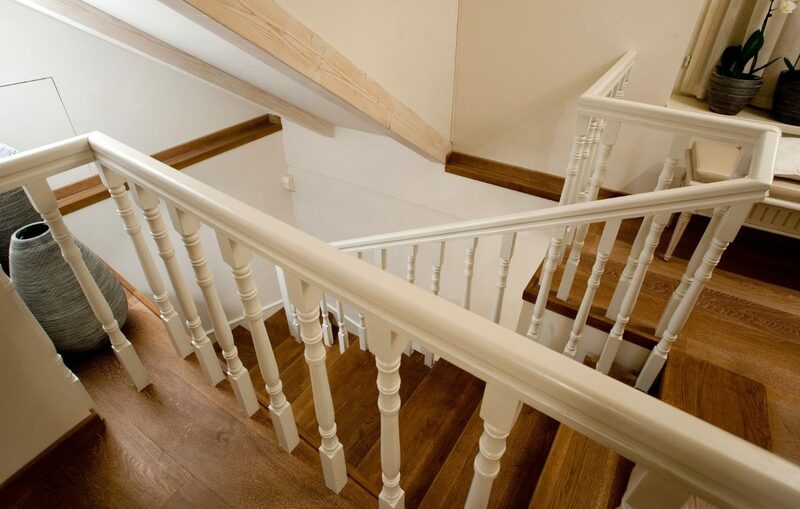 Floor area of Villa Harmony Hvar spreads on 450 square meters across three floors. 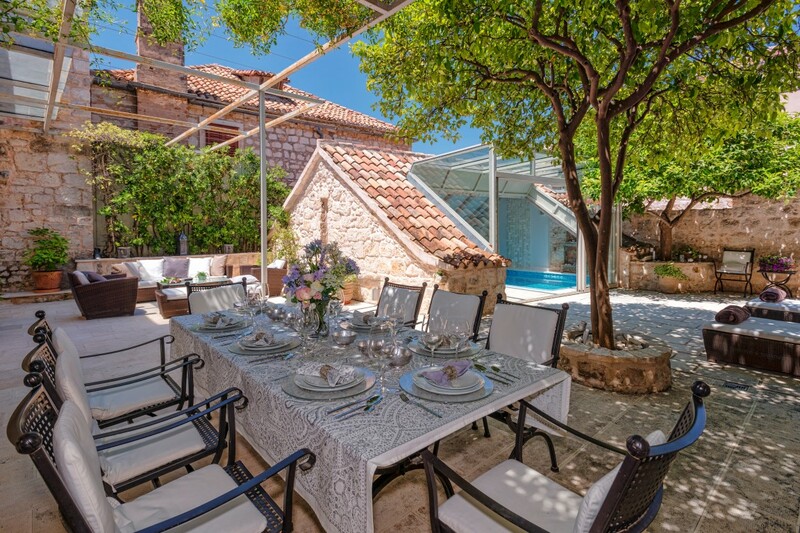 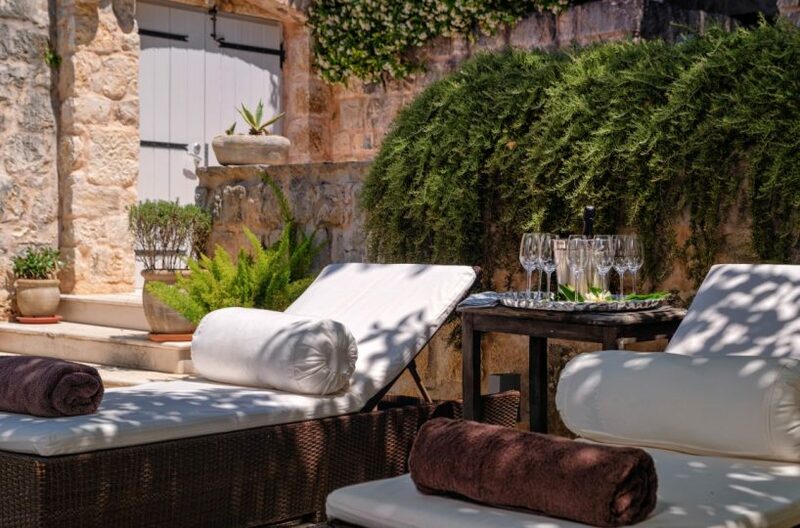 Villa Harmony Hvar offers 5 luxurious en suite bedrooms, large open plan living area with a library, fireplace, well equipped kitchen with dining area, heated swimming pool, Jacuzzi, sauna, private wine cellar and large terrace with Mediterranean garden surrounding the villa. 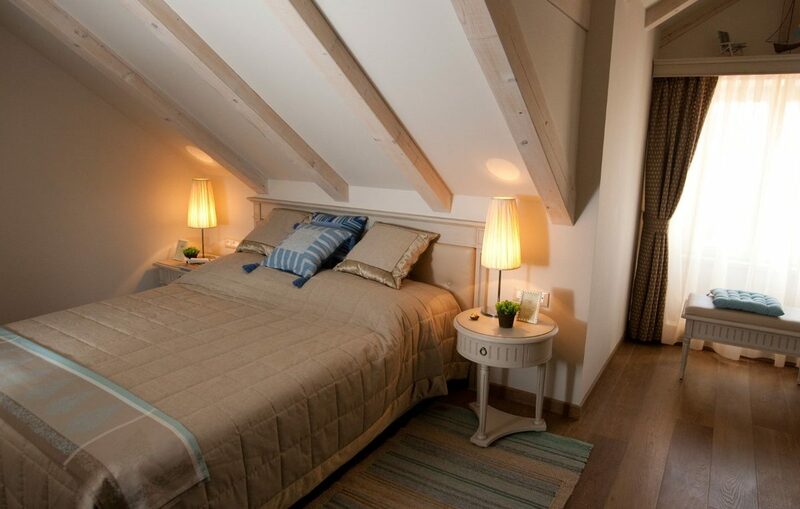 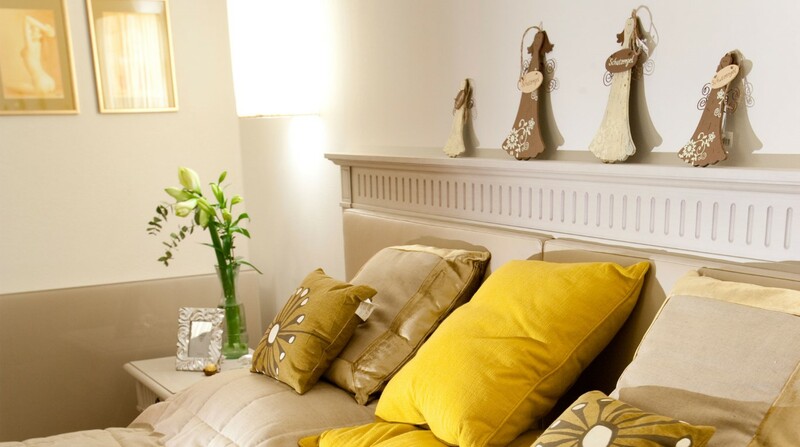 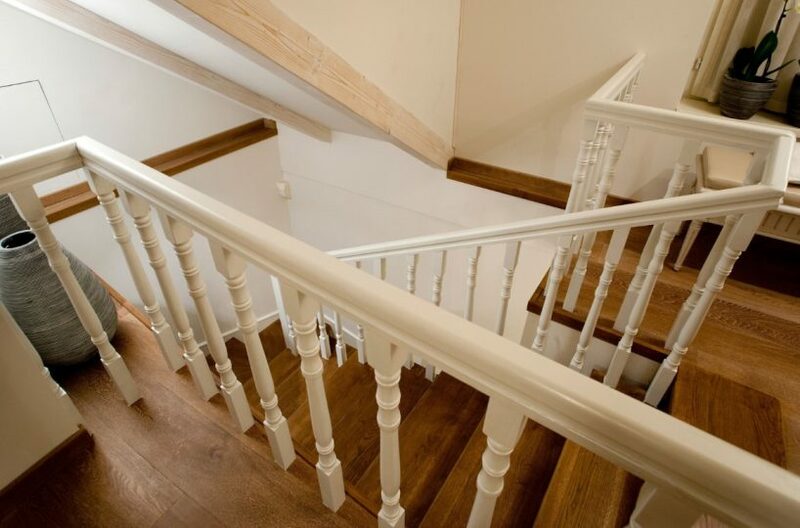 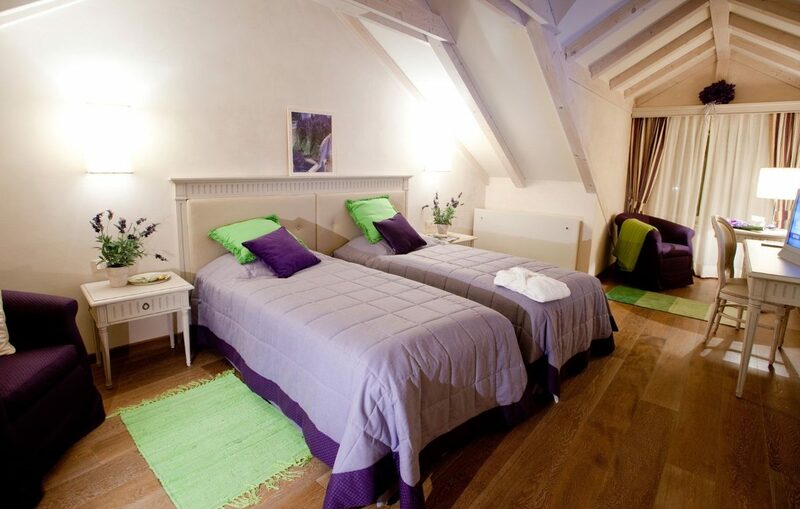 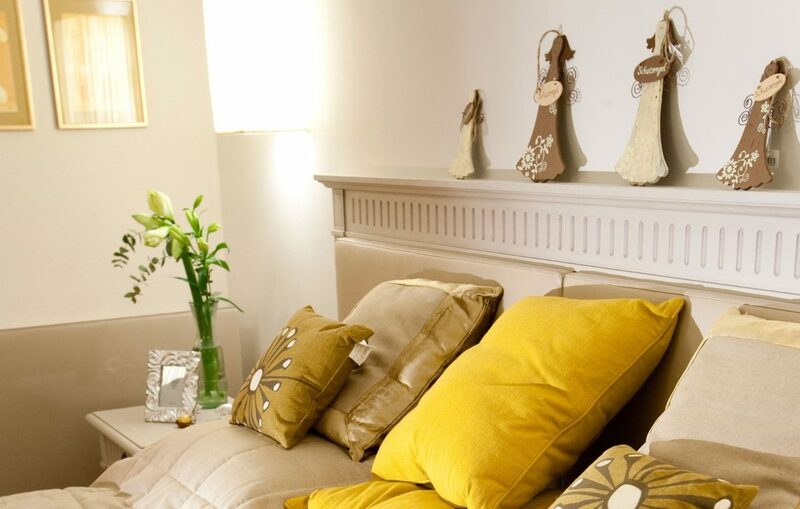 It is perfect for accommodation of 10 guests. 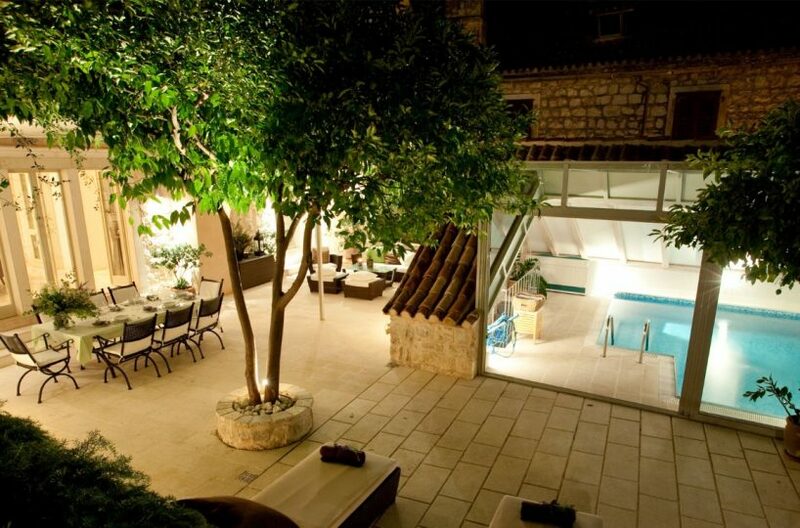 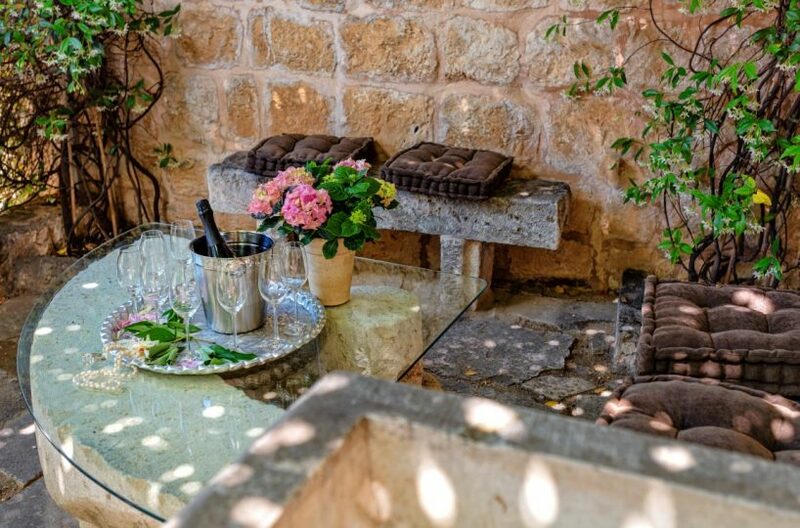 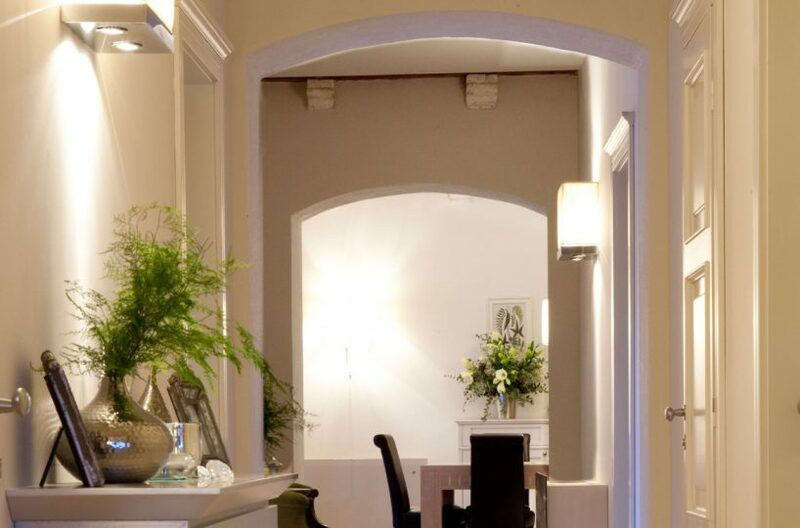 Entrance to heritage luxury pool villa in the center of Hvar is through the higher ground floor level, central part of the villa where there are wonderful terrace and the garden with lemon and orange trees, lavender and rosemary, with its perfect and enchanting scents. 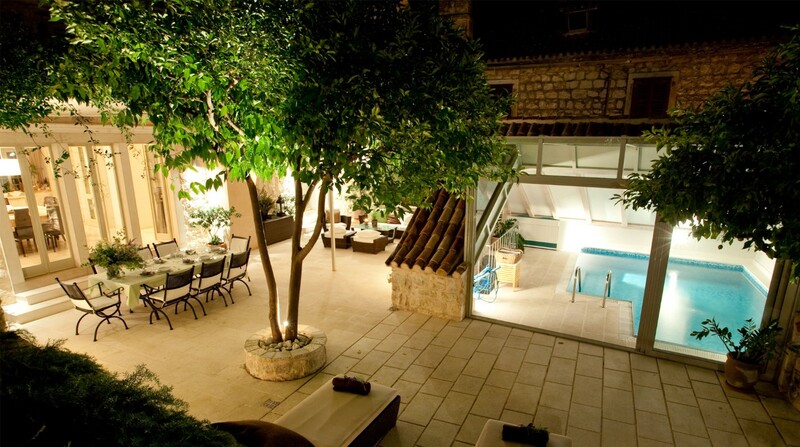 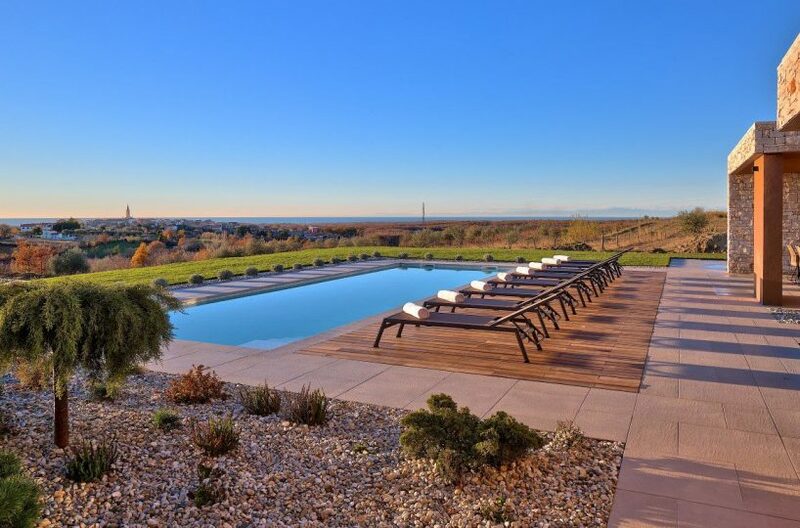 Terrace features sun loungers by the pool, that can be an indoor or an outdoor pool, depending on the season. 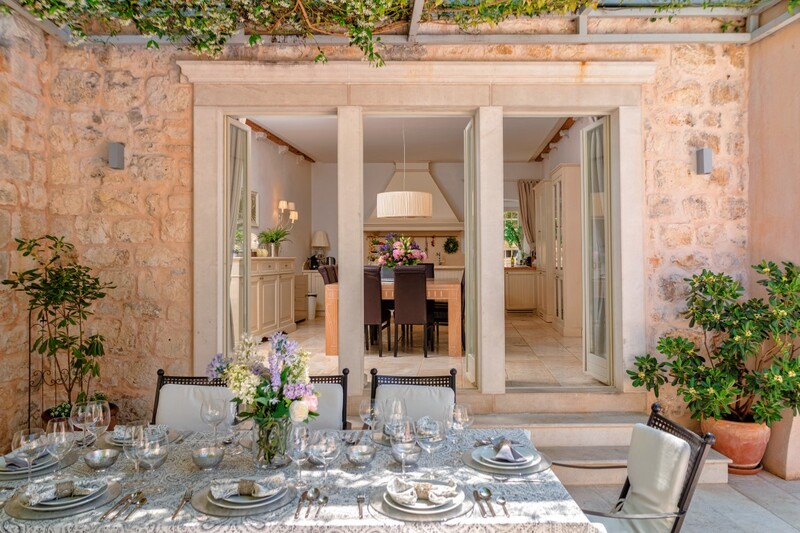 There is also beautiful dining setting outdoors, perfect for enjoying al fresco meals or an evening cocktail under the stars. 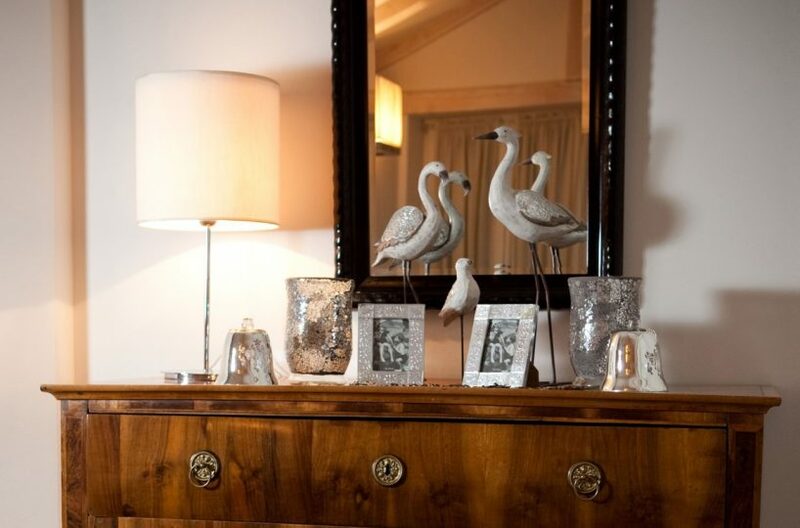 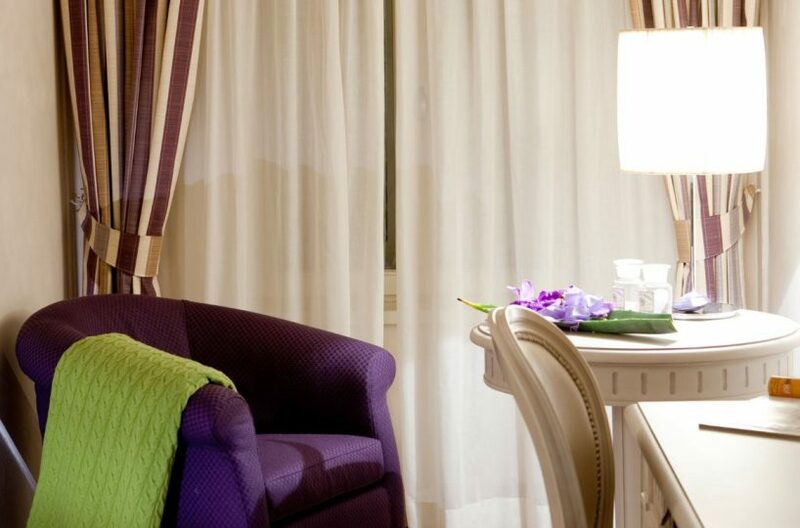 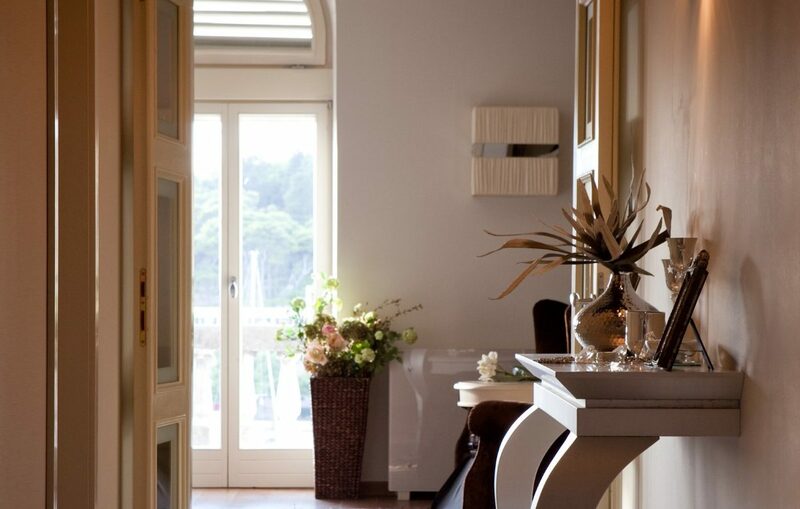 Beside the garden, there is an open plan living area with magical sea view balcony, luxurious and unique furniture with sofas set around indoor fireplace and equipped with modern amenities such as SAT TV and DVD. 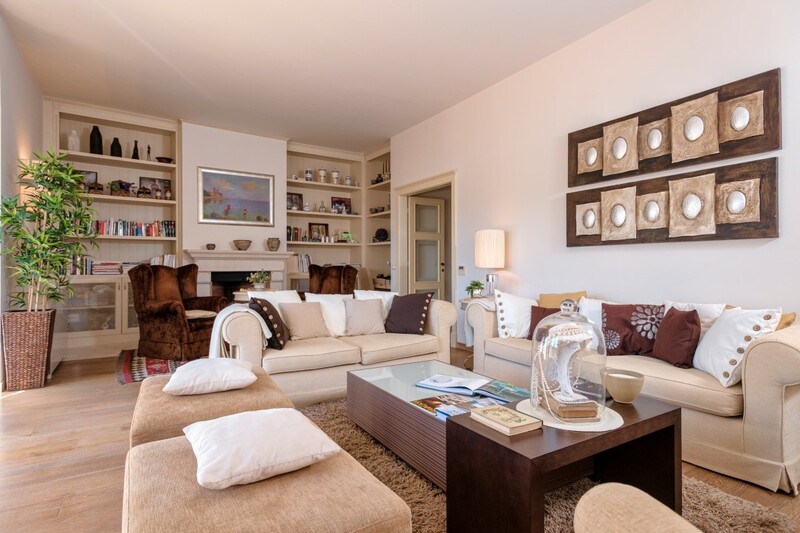 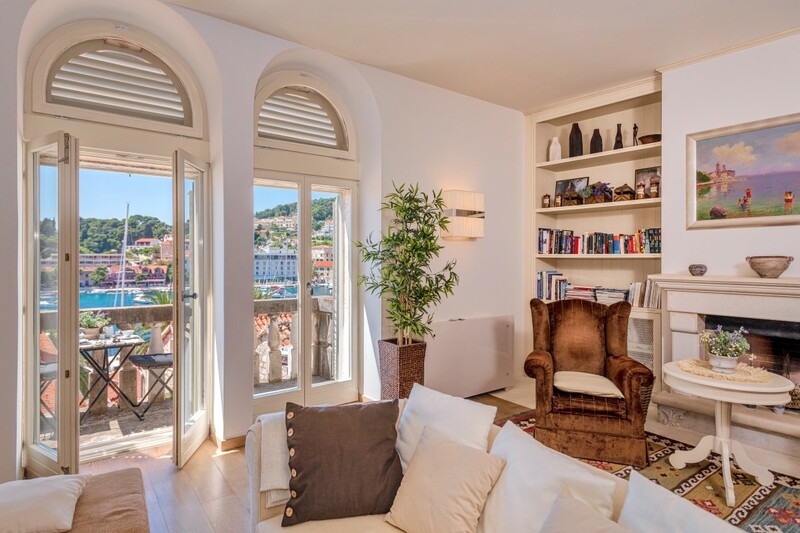 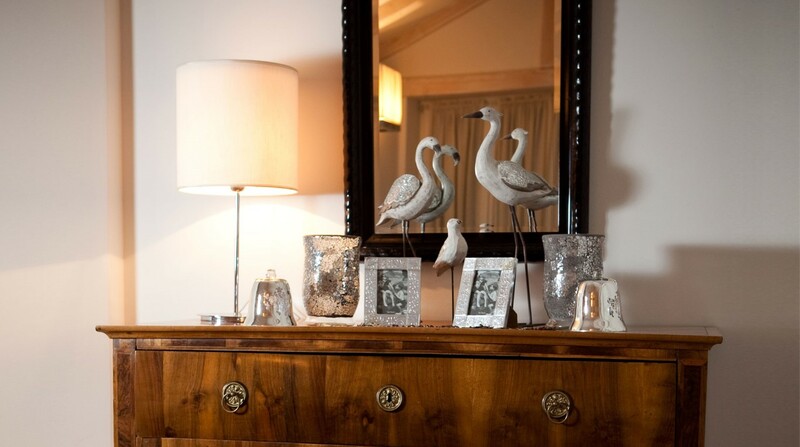 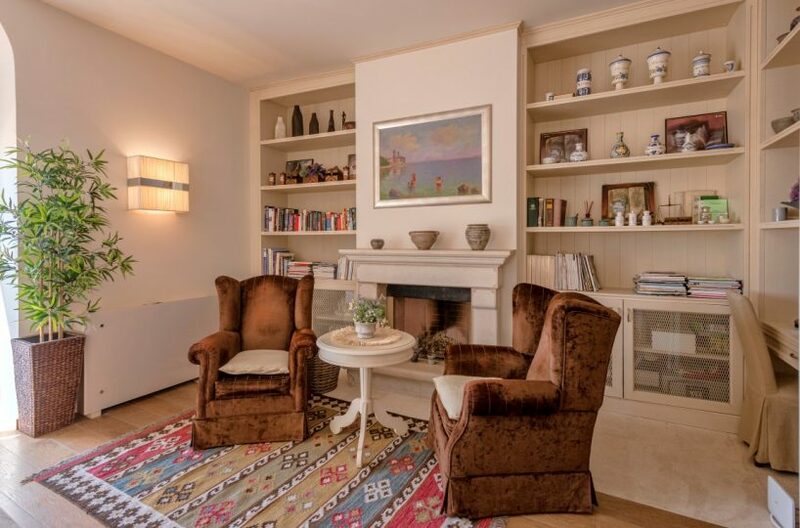 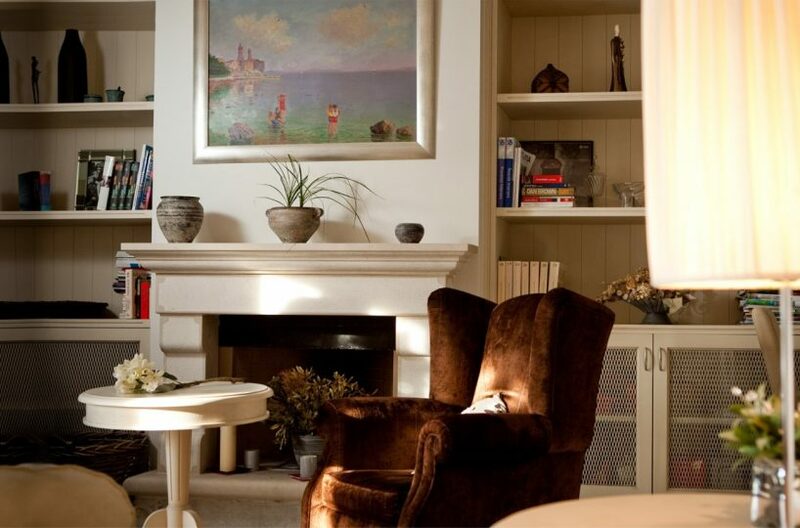 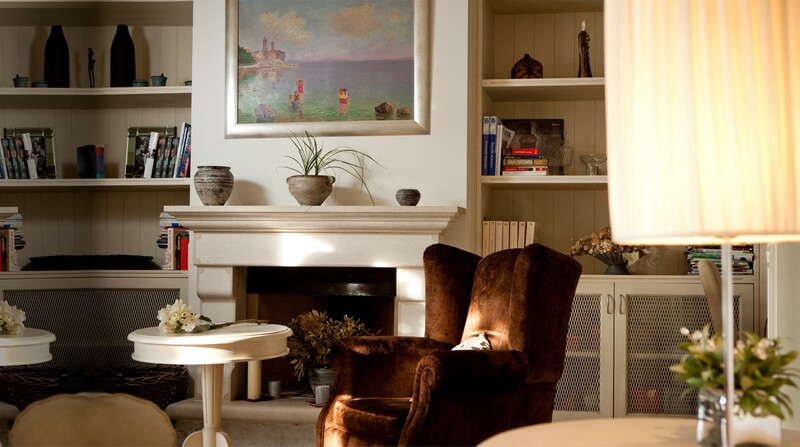 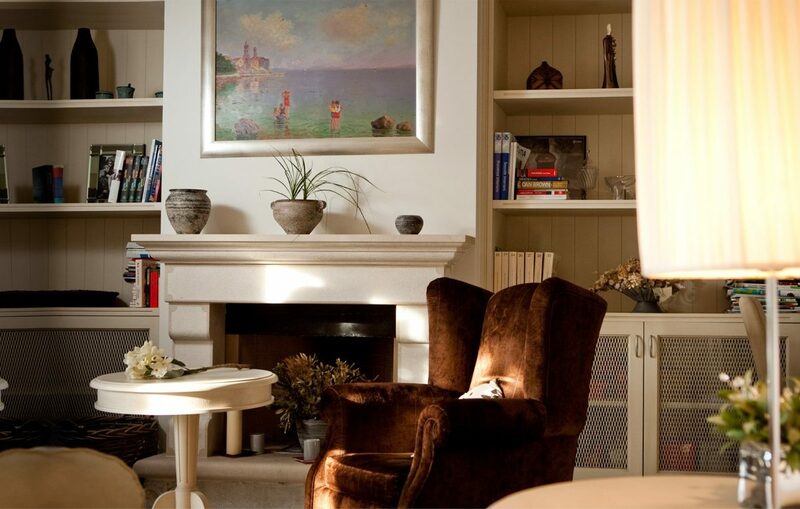 Living room features private library with selection of different books and magazines available in few languages. 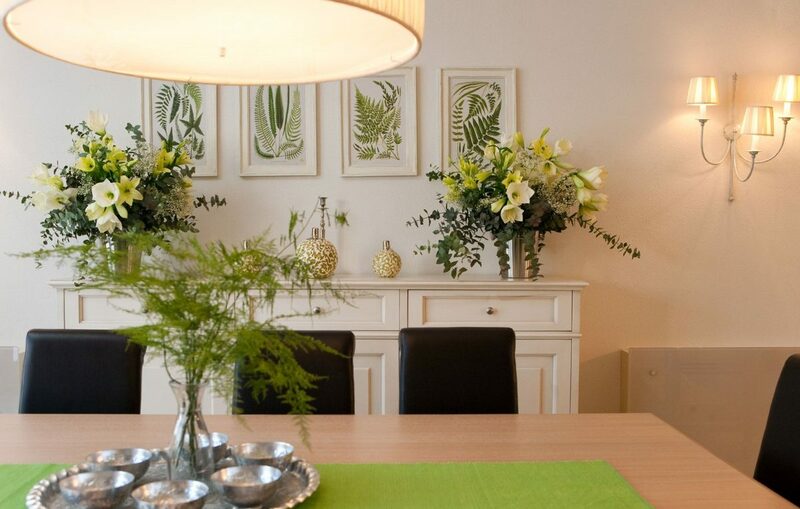 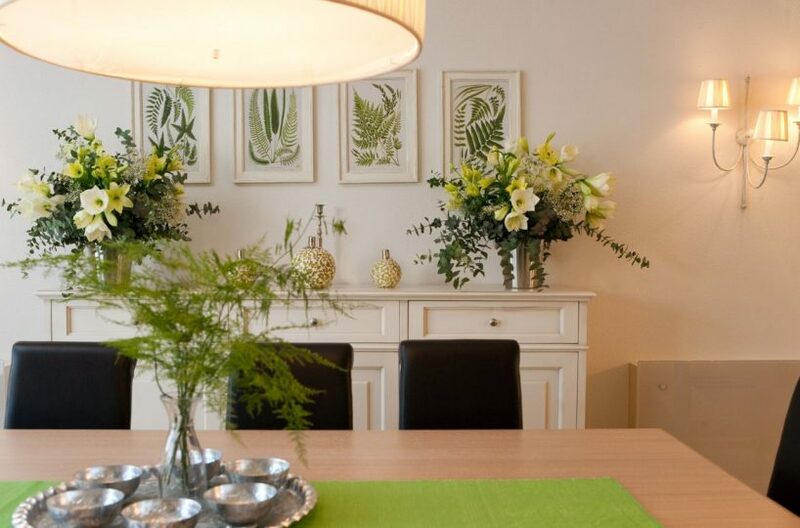 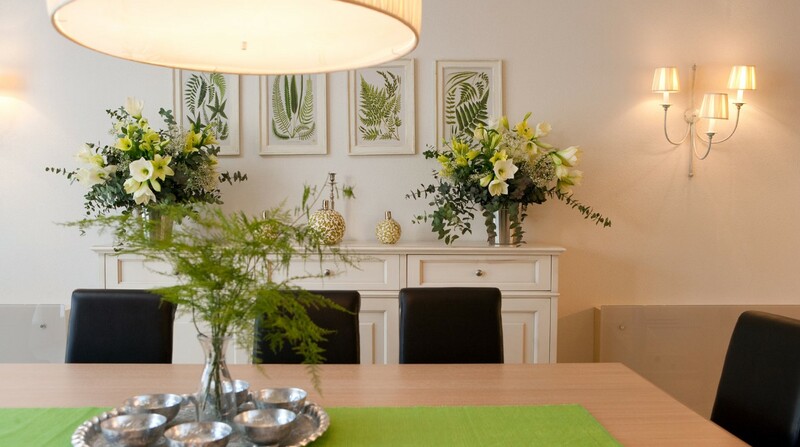 Following the living area, there is a well equipped kitchen and dining room with large table for 10 persons. 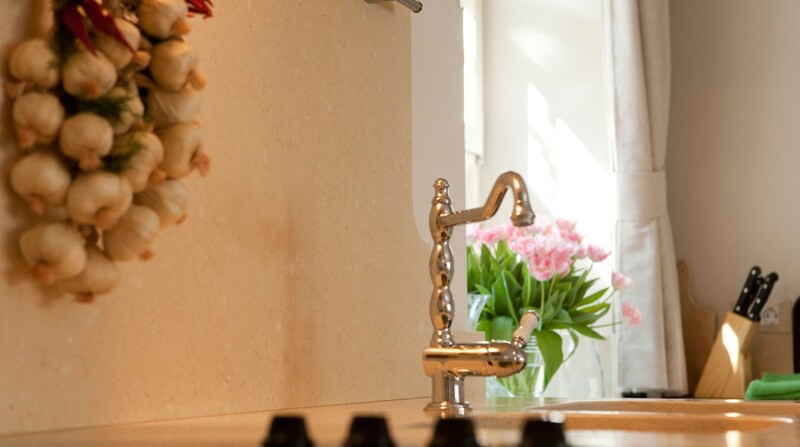 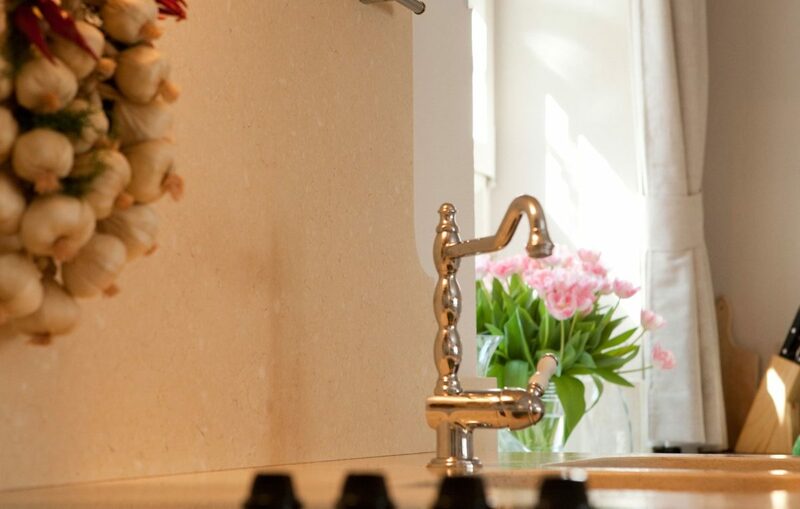 Kitchen is modern and spacious, equipped with all the appliances (microwave, oven, coffee machine, toaster, dishwasher, wine cooler, fridge with freezer). 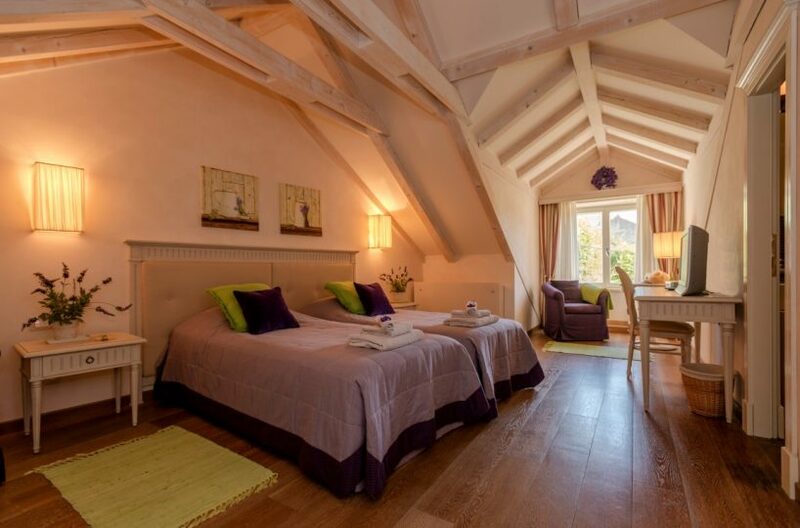 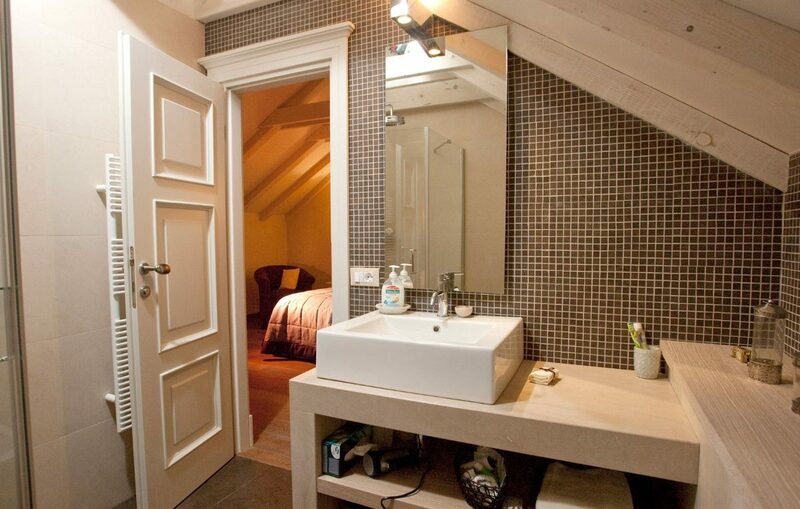 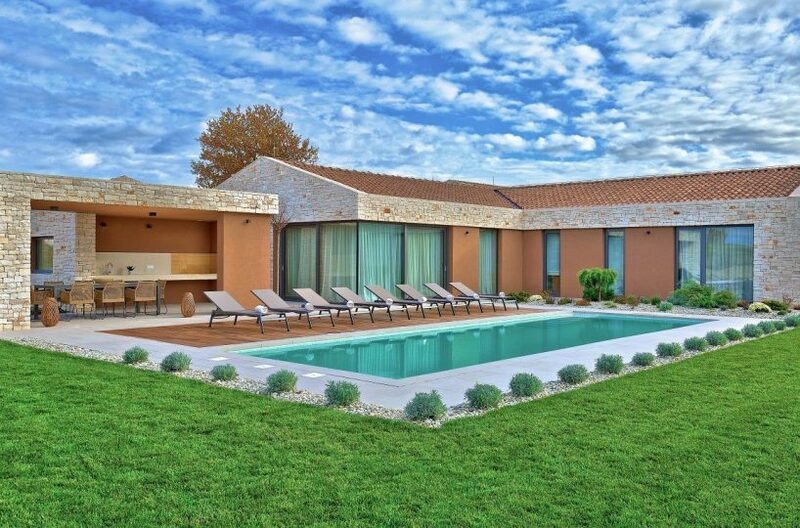 Two double bedrooms with en suite bathrooms are set in this area of the villa. 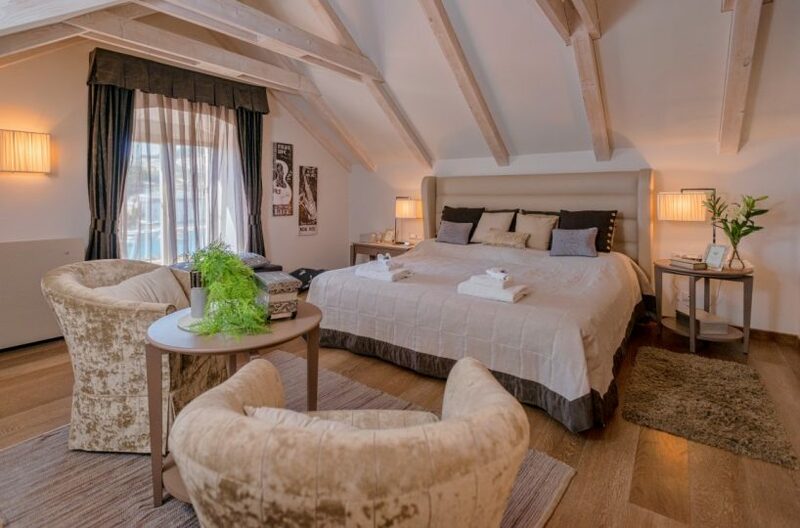 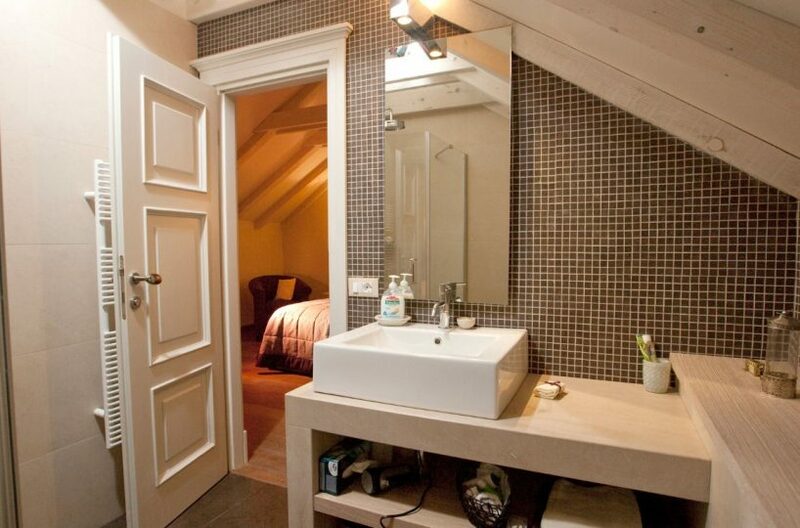 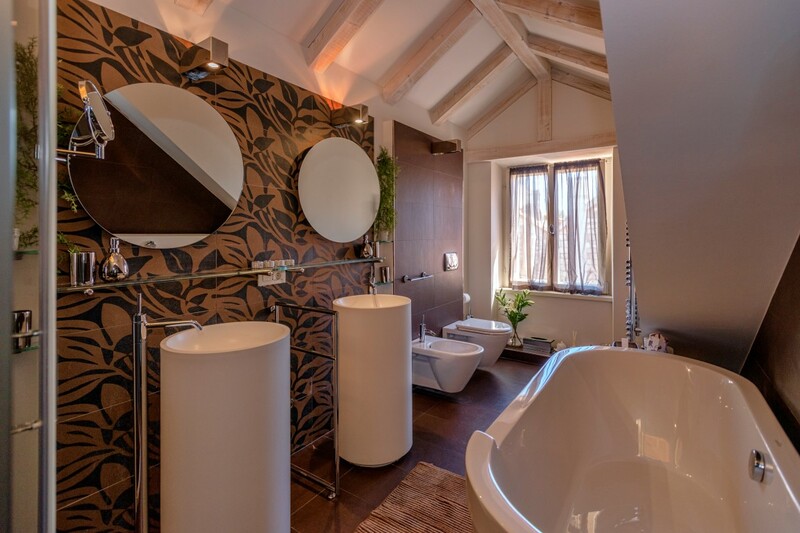 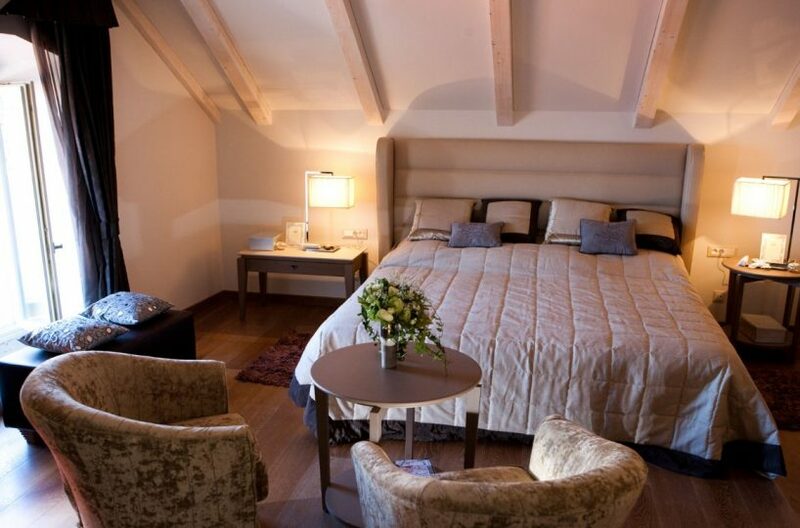 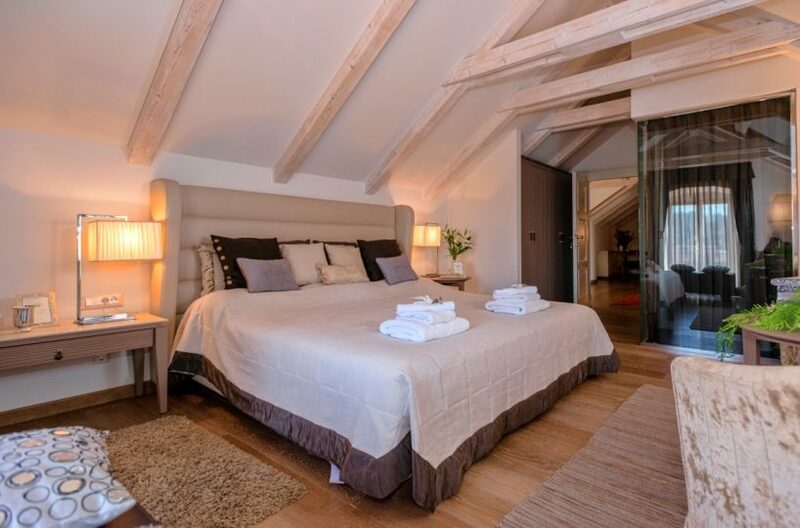 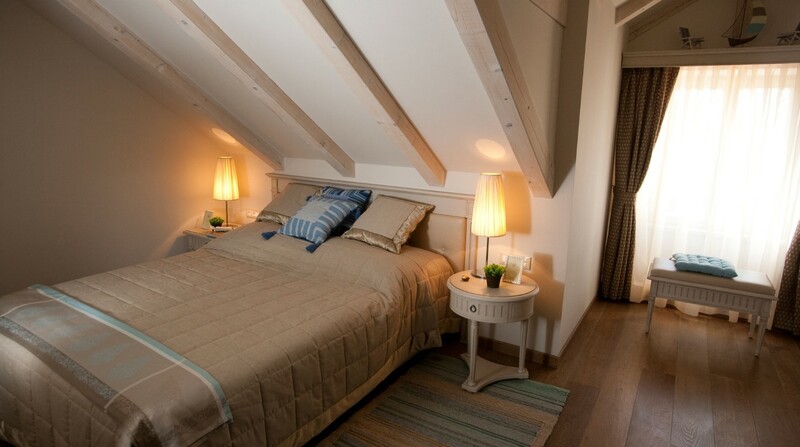 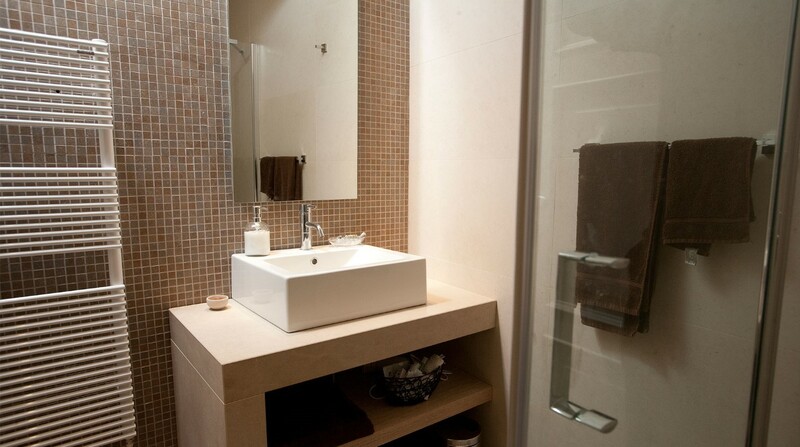 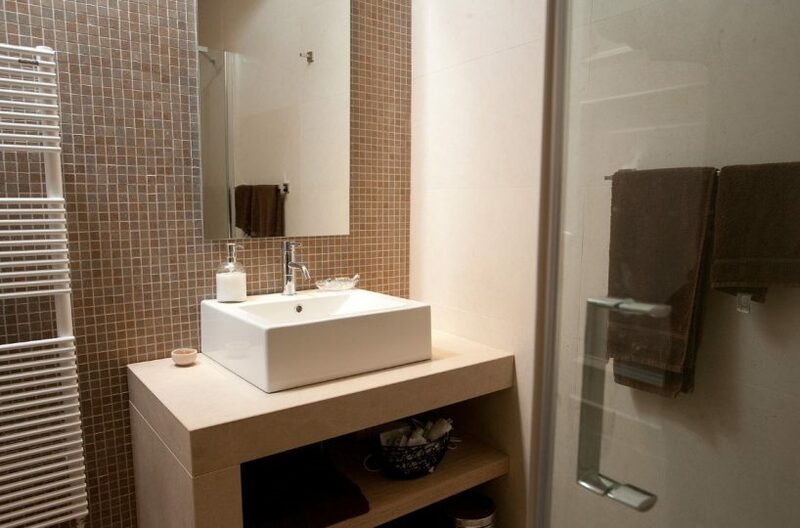 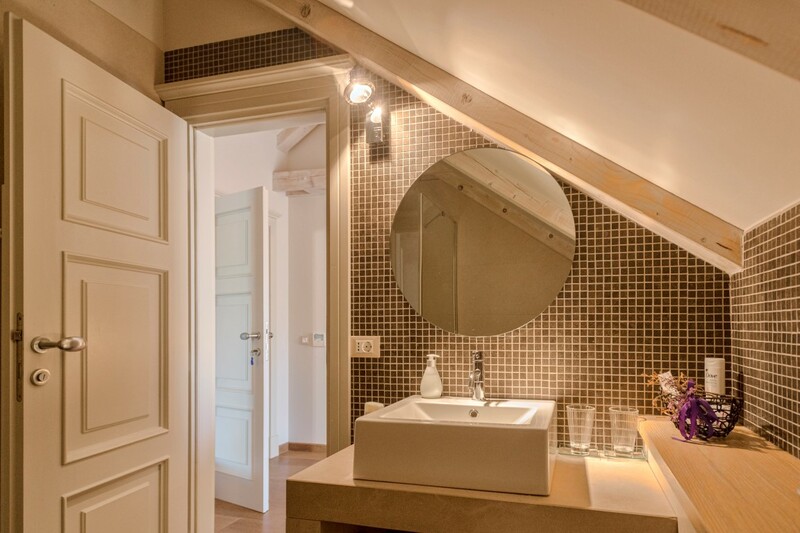 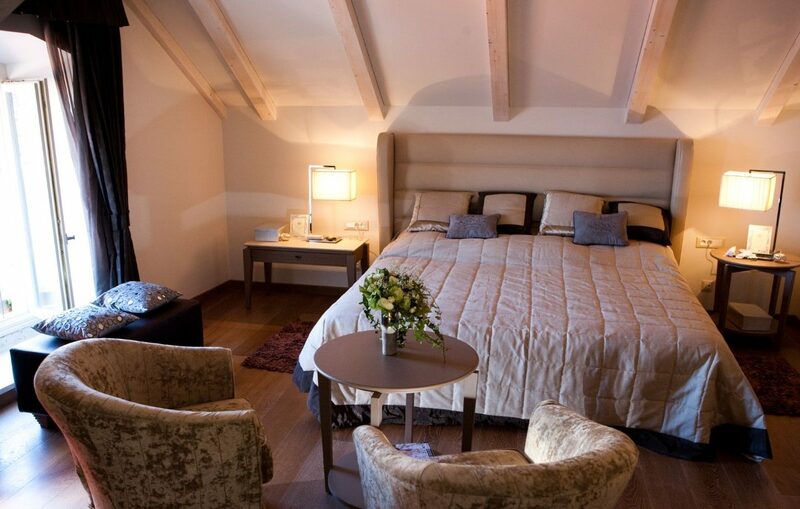 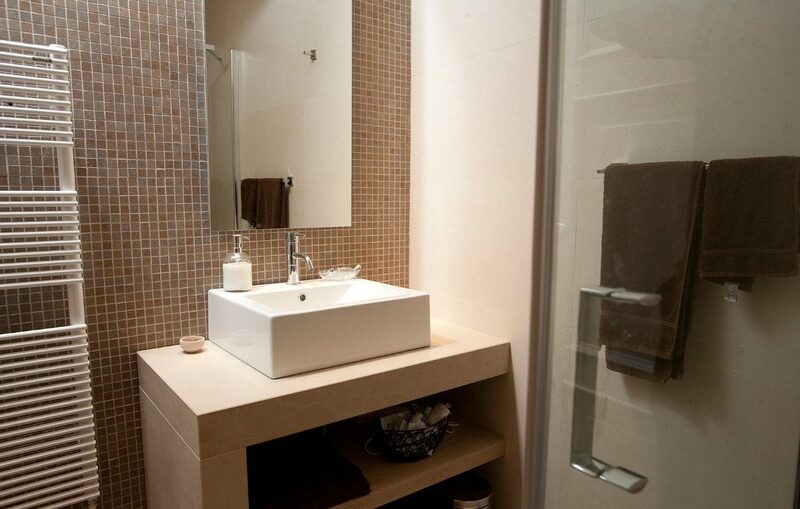 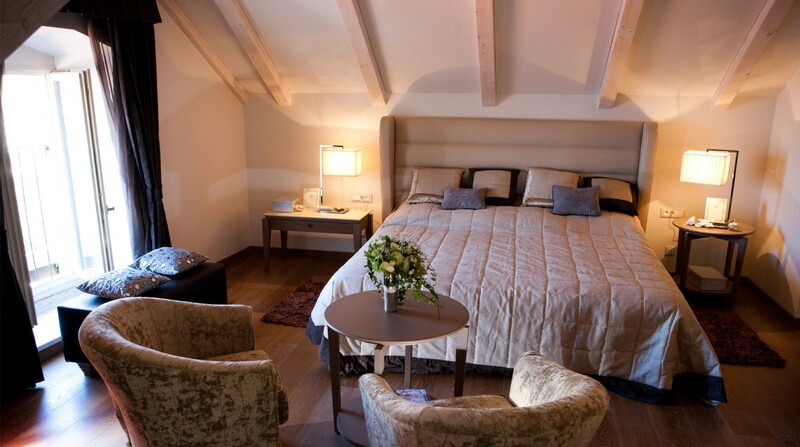 First floor of Villa Harmony Hvar comprises three more unique double bedrooms with en suite bathrooms. 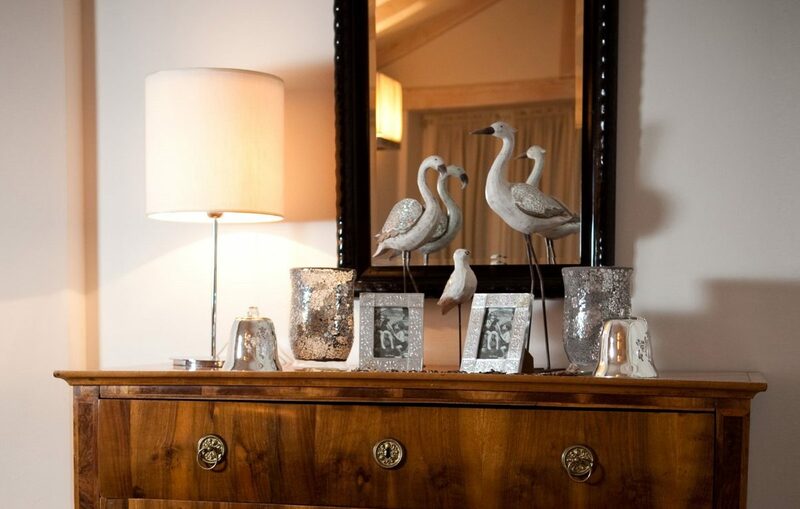 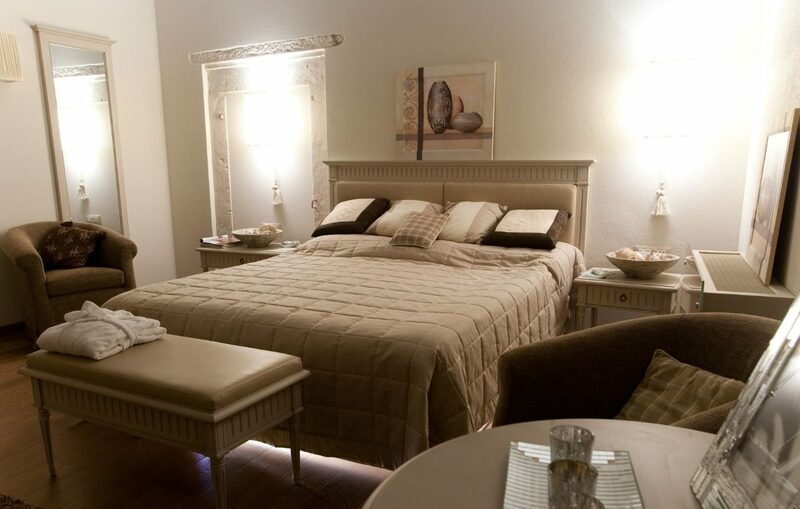 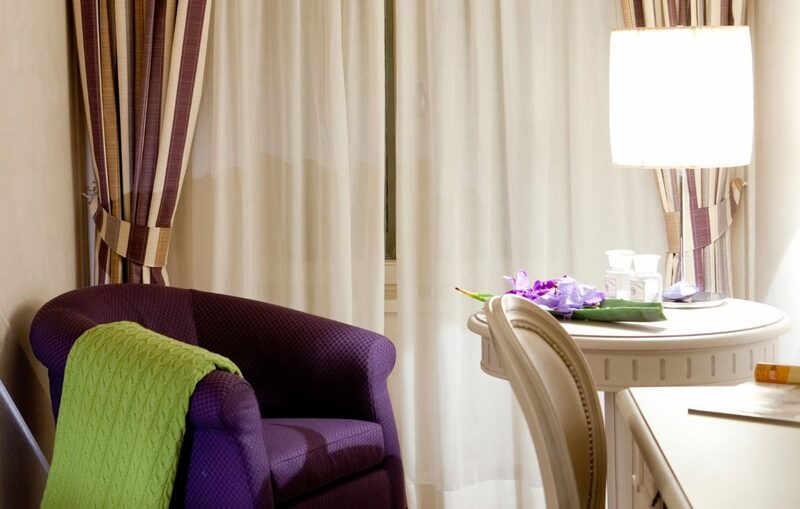 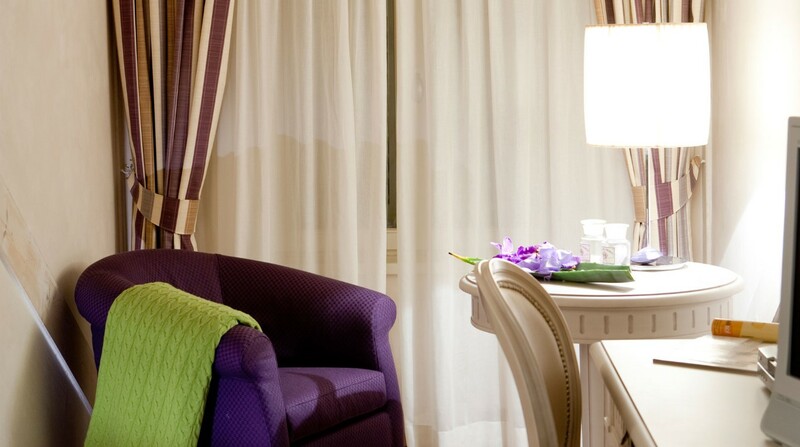 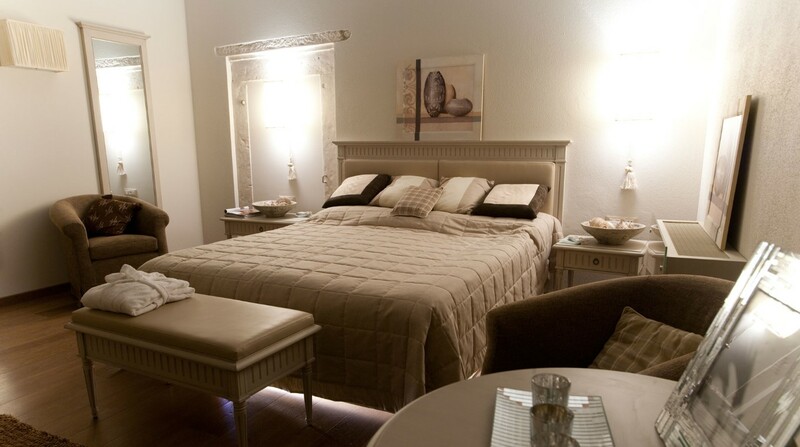 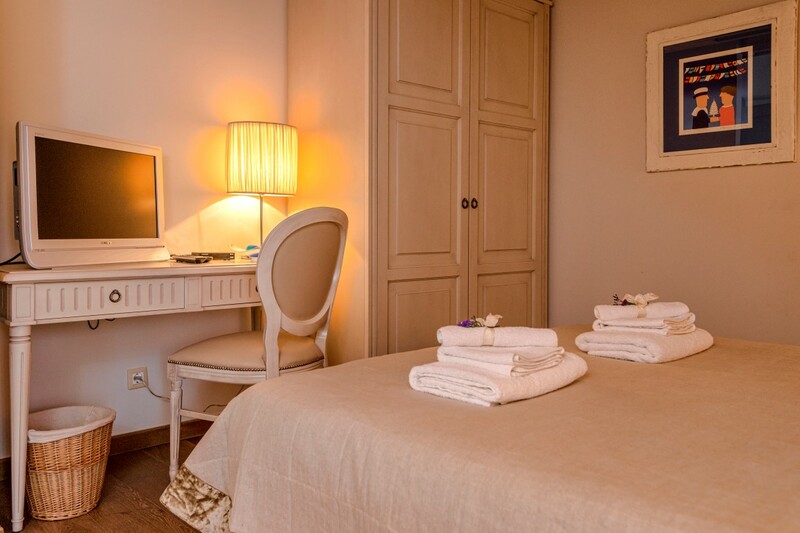 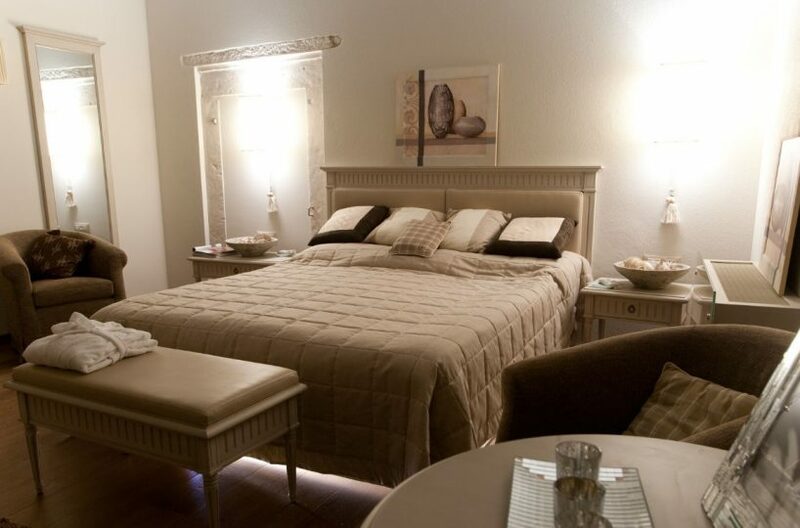 All the bedrooms have a comfortable work area, large bathrooms, widescreen HD LCD TV and complimentary Wi-Fi access. 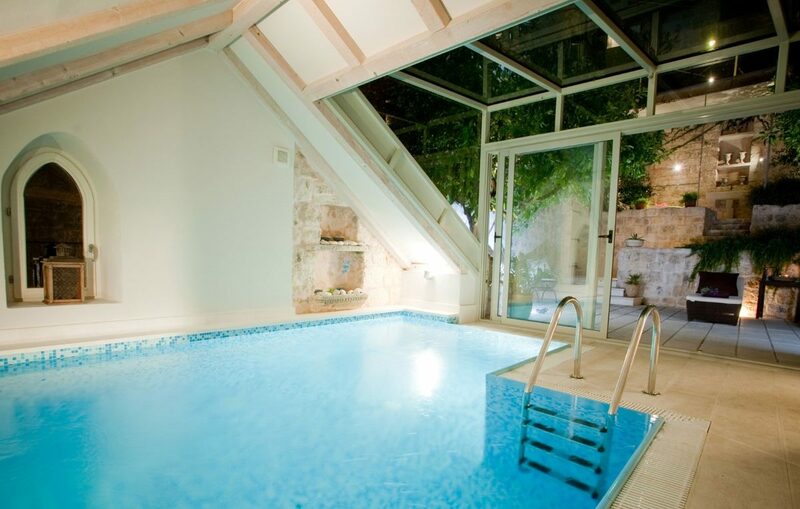 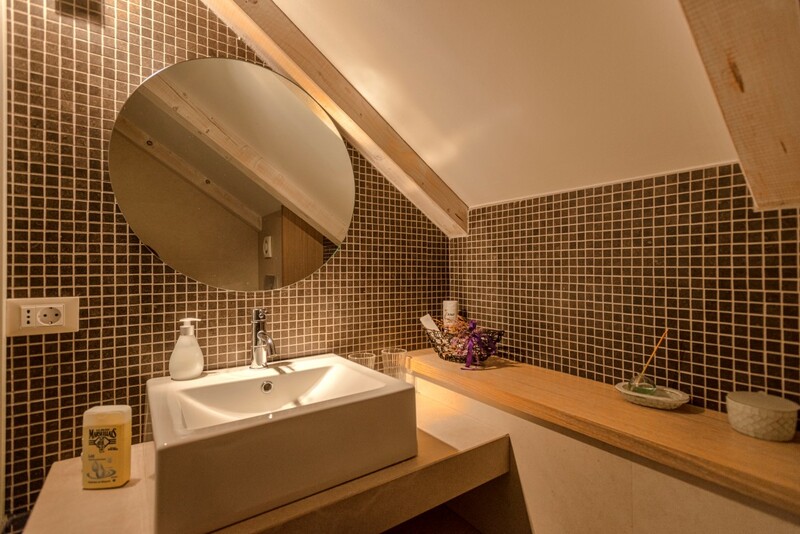 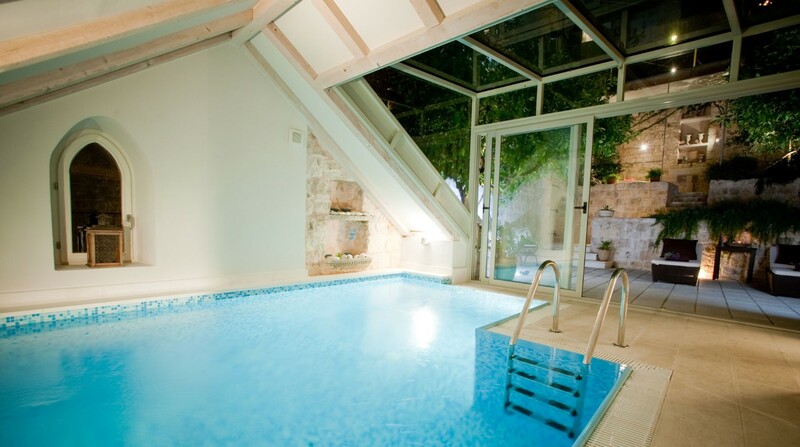 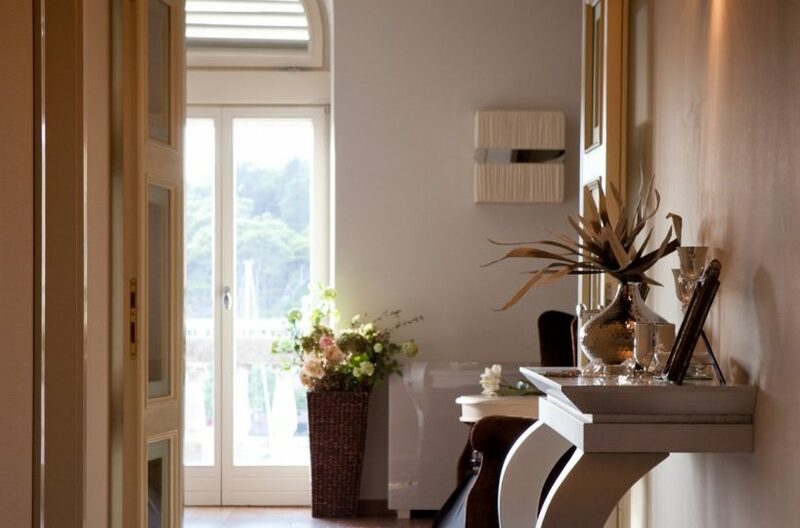 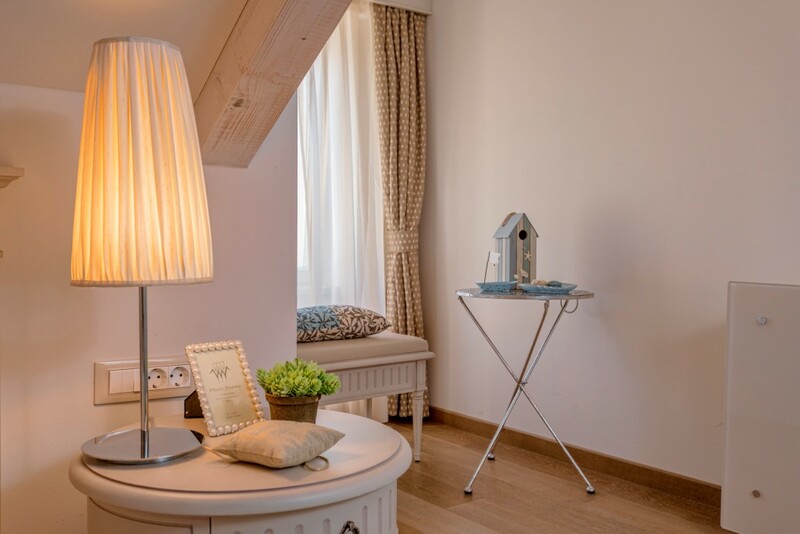 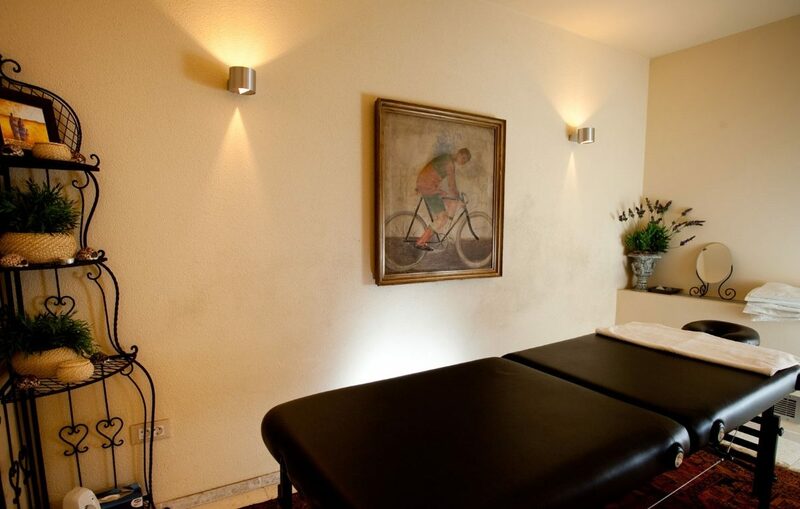 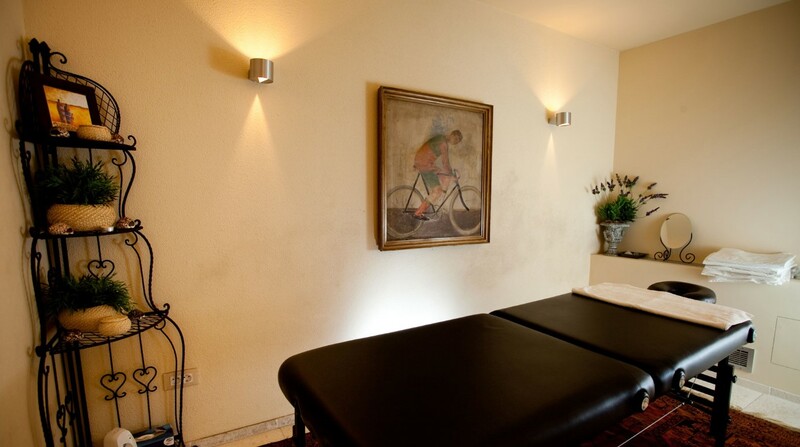 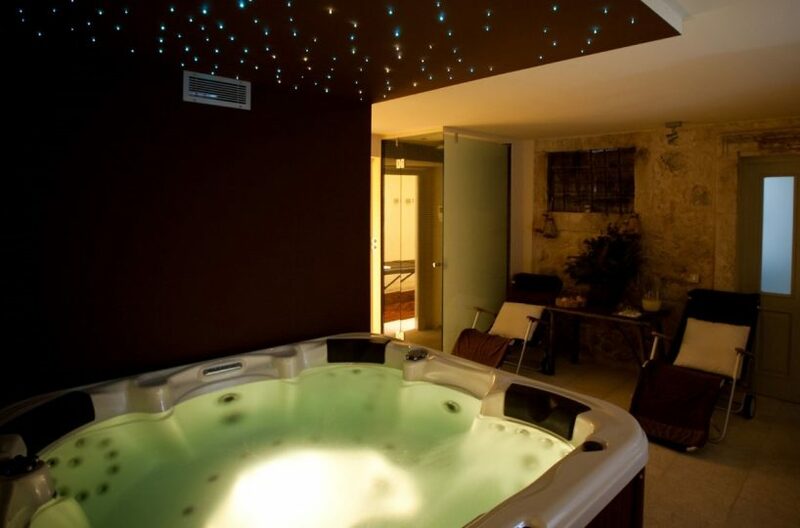 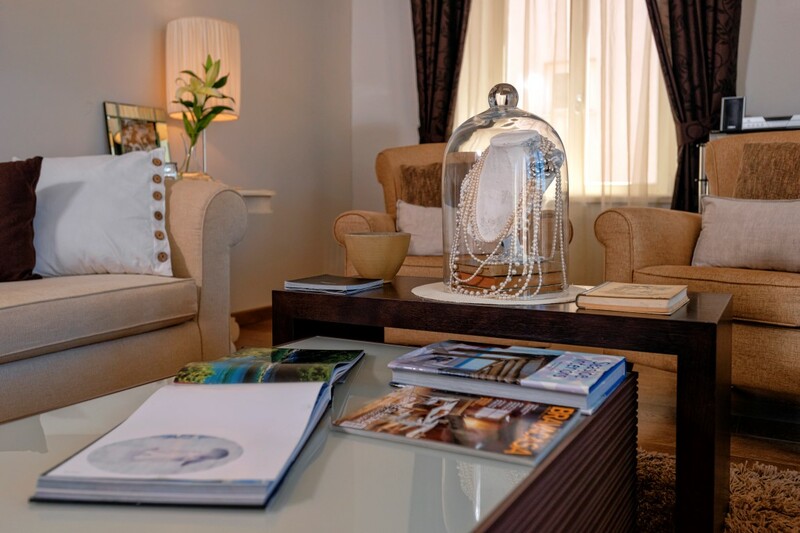 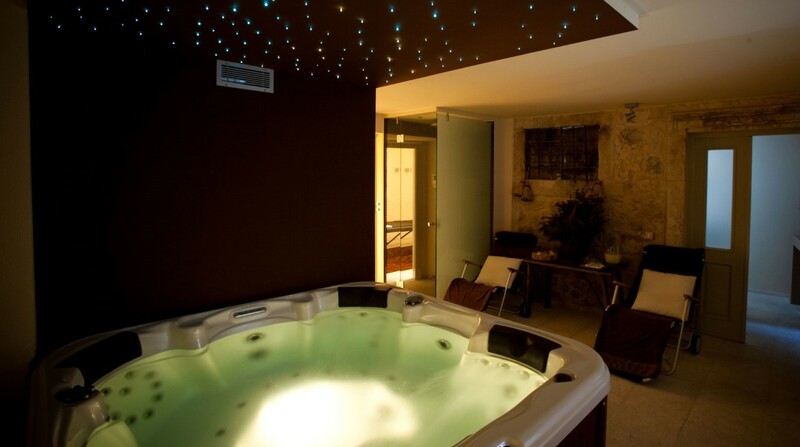 Special feature of the villa is the wellness facilities it offers; Jacuzzi, sauna and massage table, meant to provide full relaxation for its guests, all set on the lower ground floor of Villa Harmony Hvar. 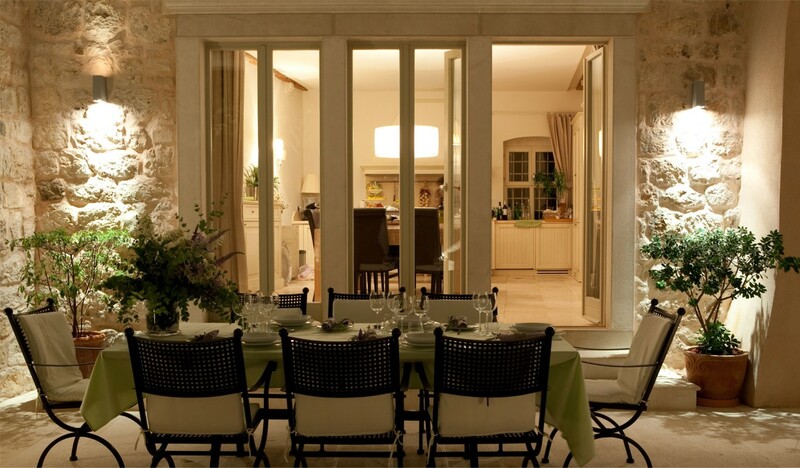 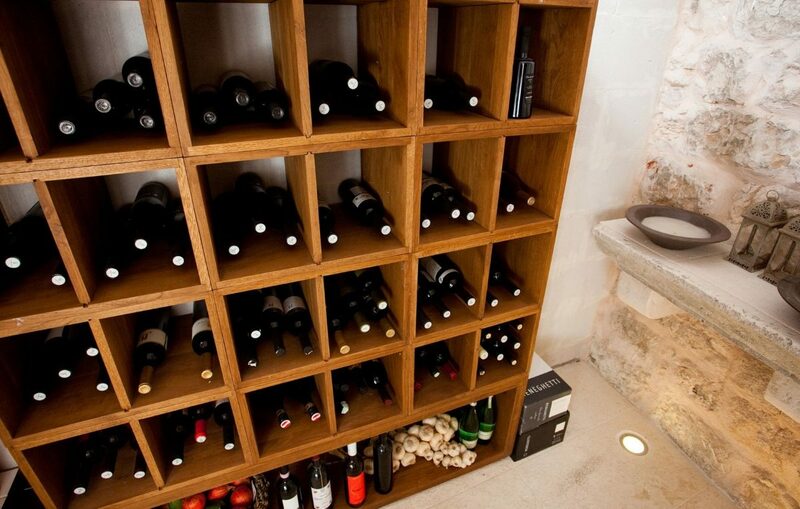 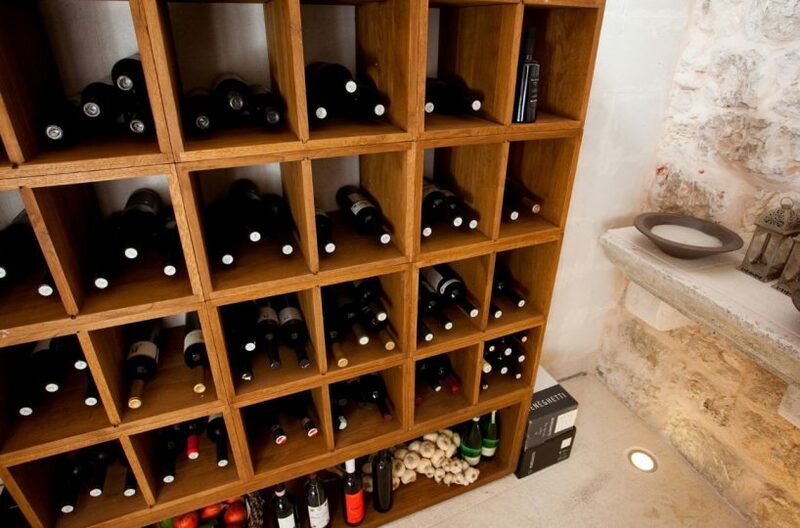 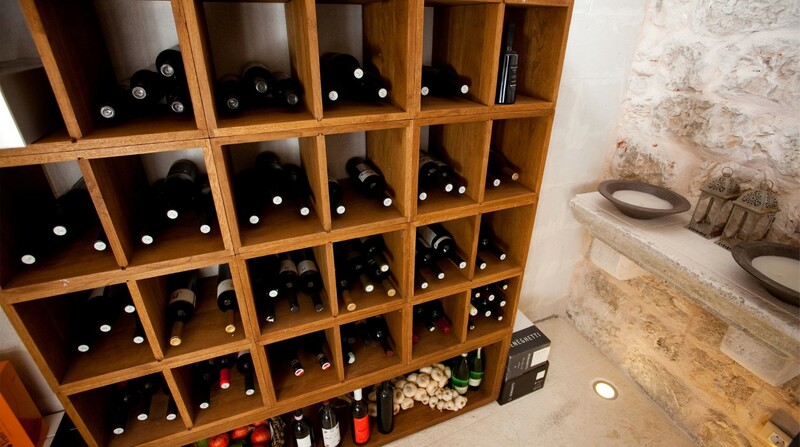 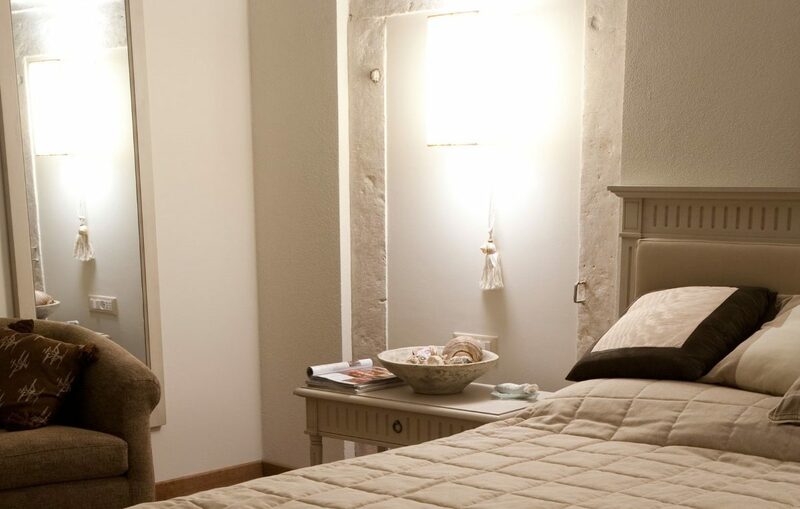 There is also a private wine cellar within the villa, available at extra charge. 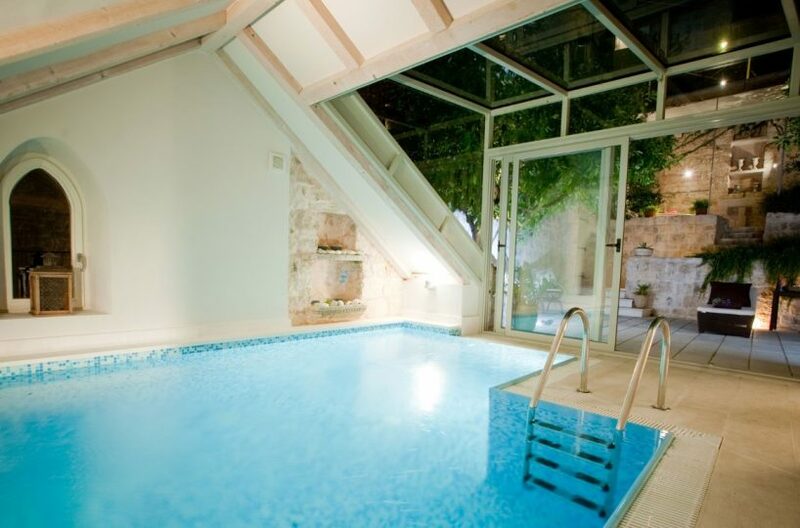 Indoor heated swimming pool is surrounded by the sliding glass walls which make it transformable into outdoor season pool, according to the guest’s wishes. 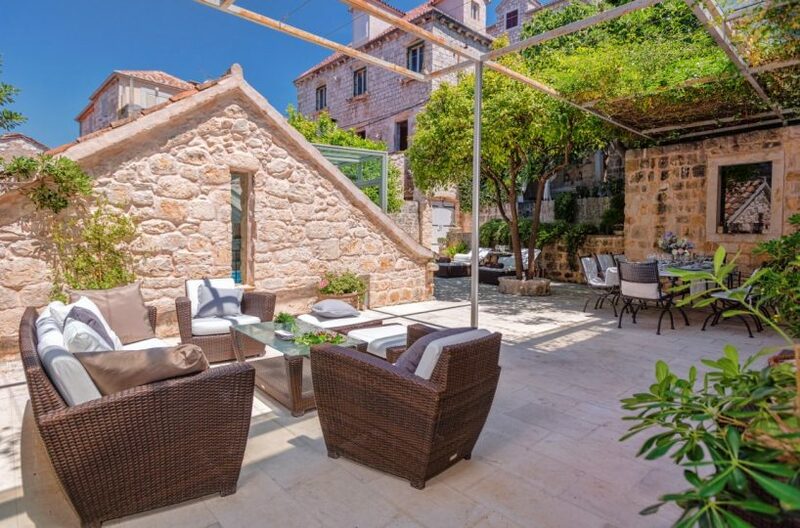 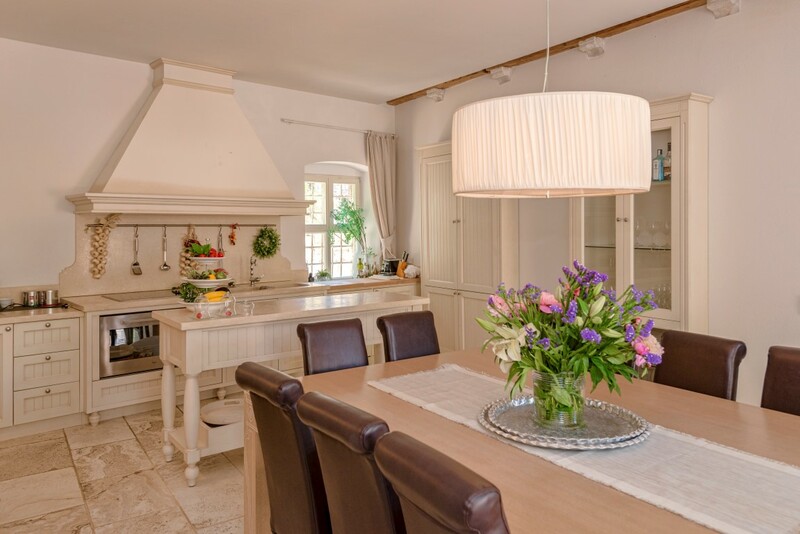 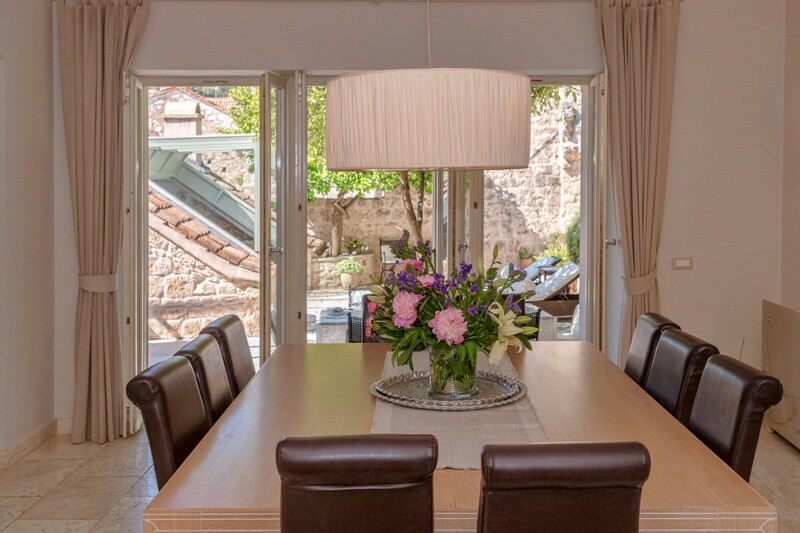 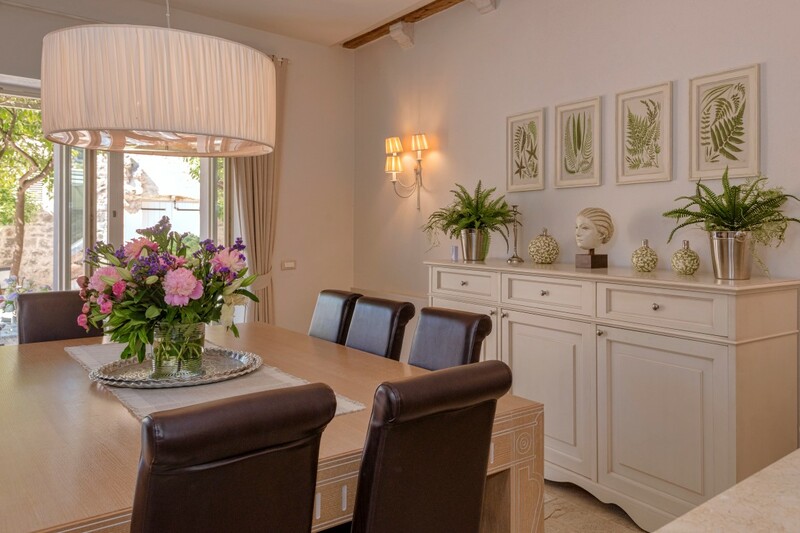 Villa Harmony Hvar is fully air conditioned and modernly equipped, providing nothing but pure relaxation and peaceful villa vacation in the heart of Hvar.